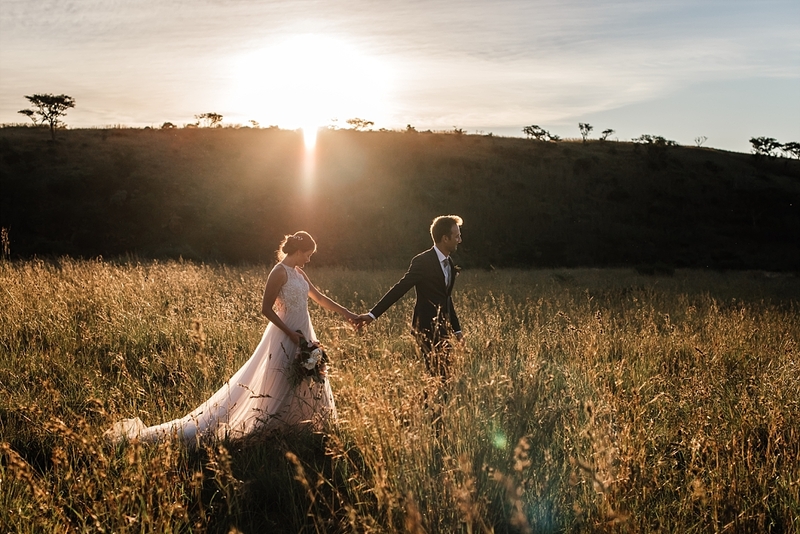 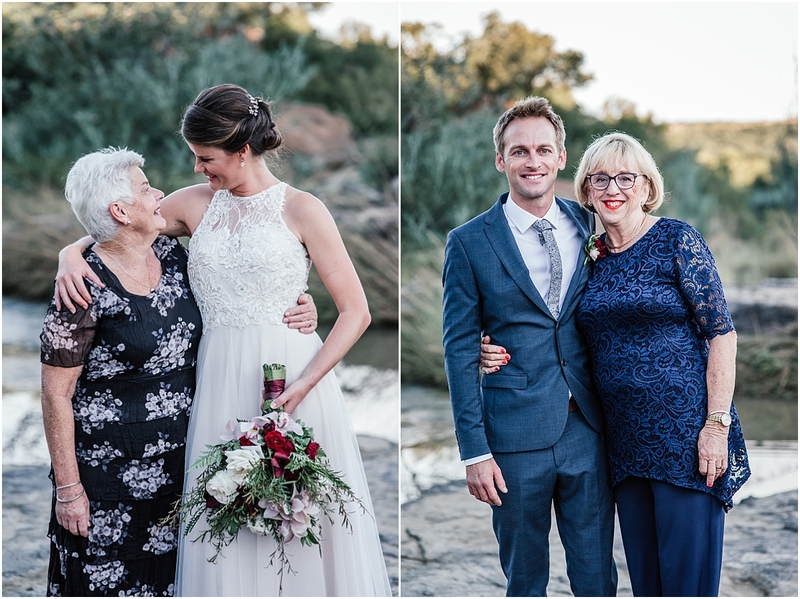 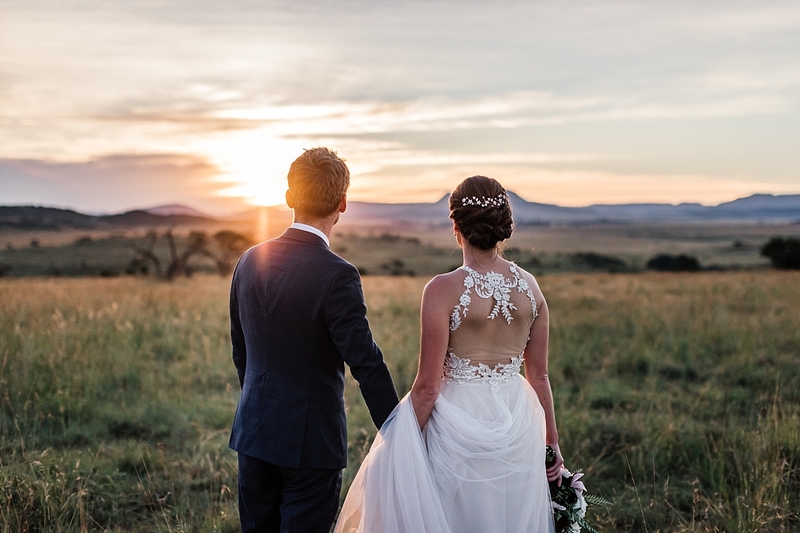 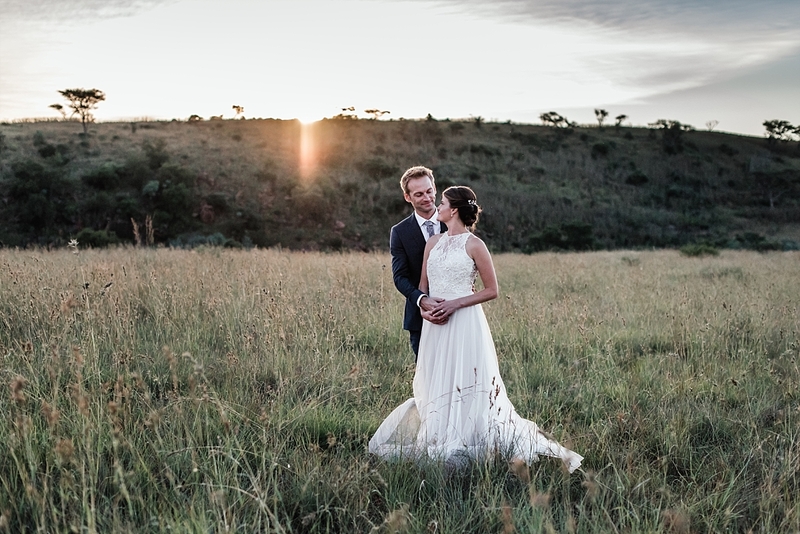 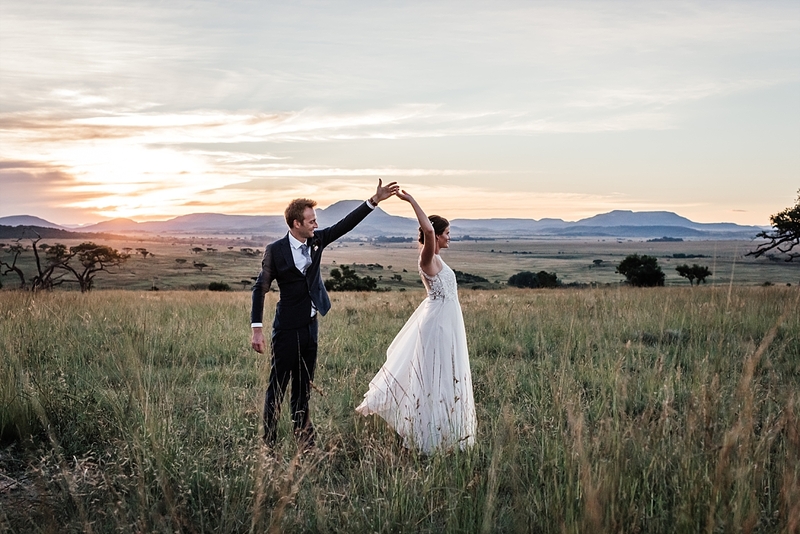 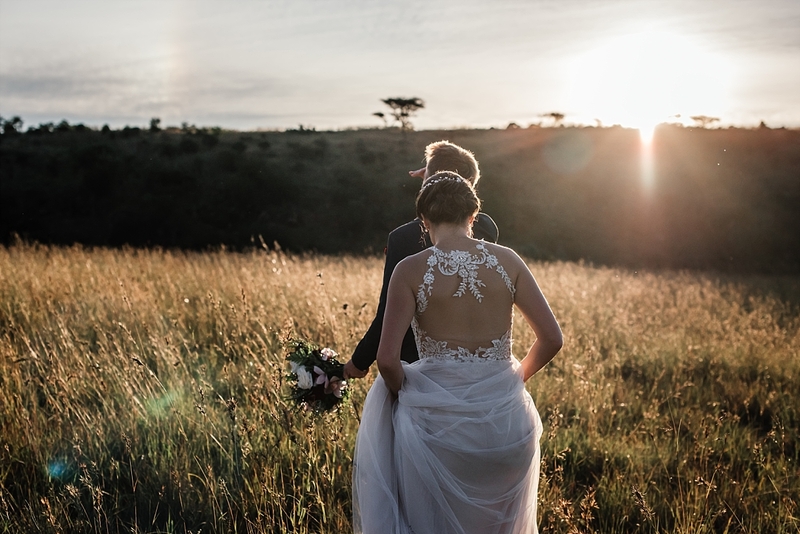 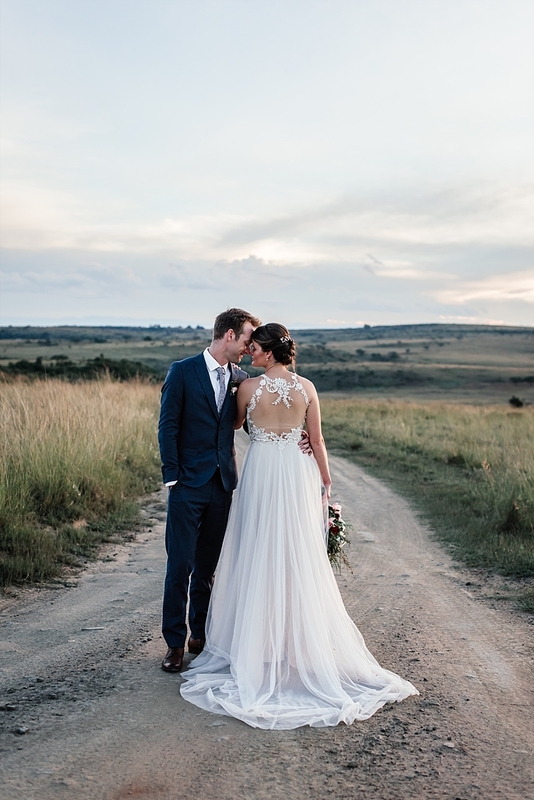 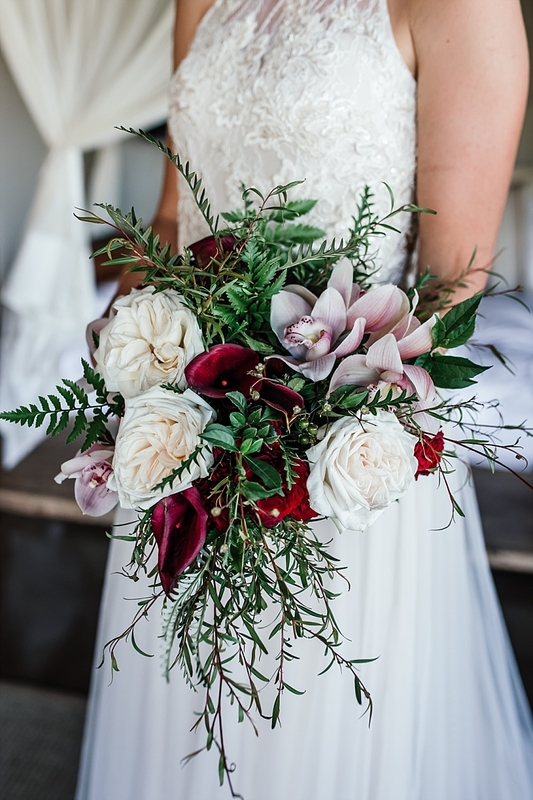 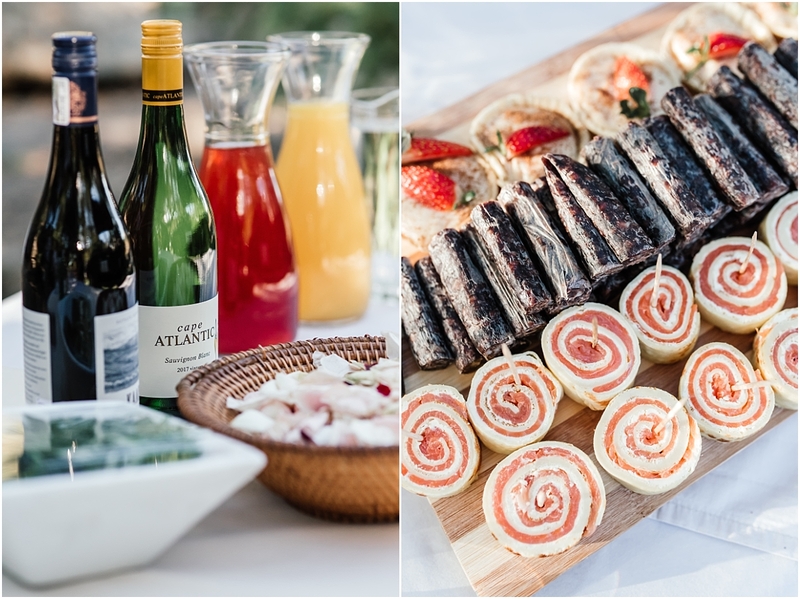 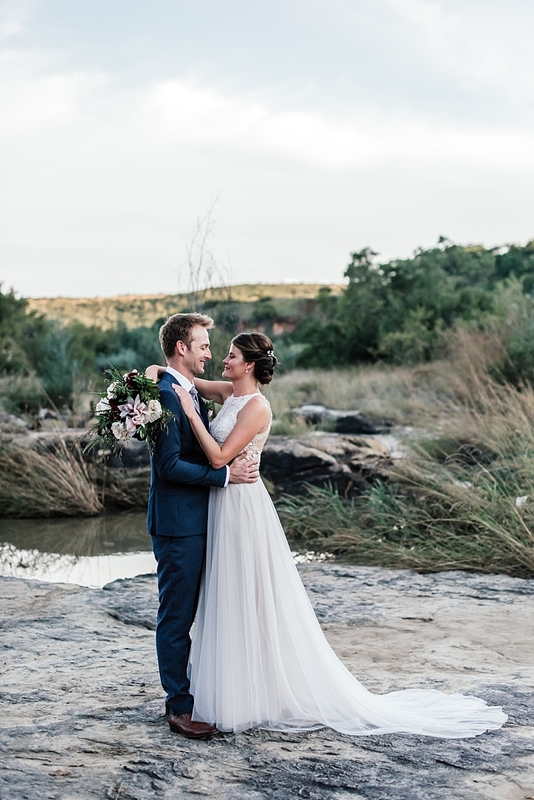 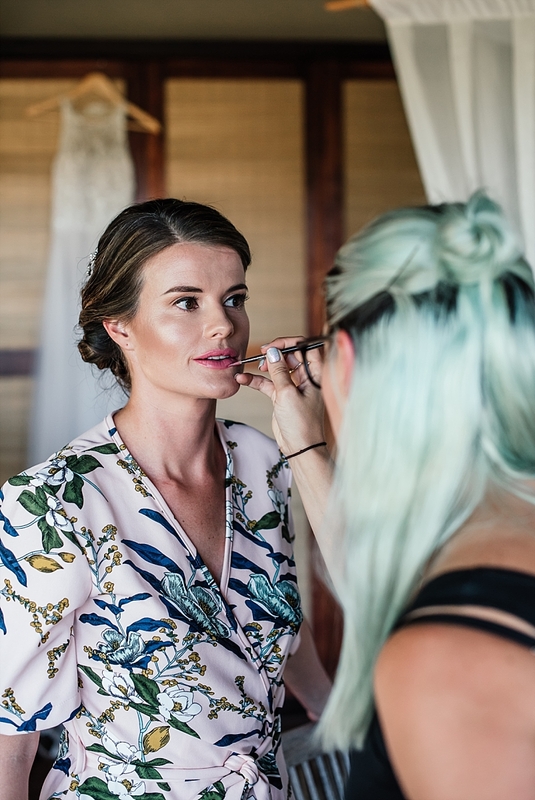 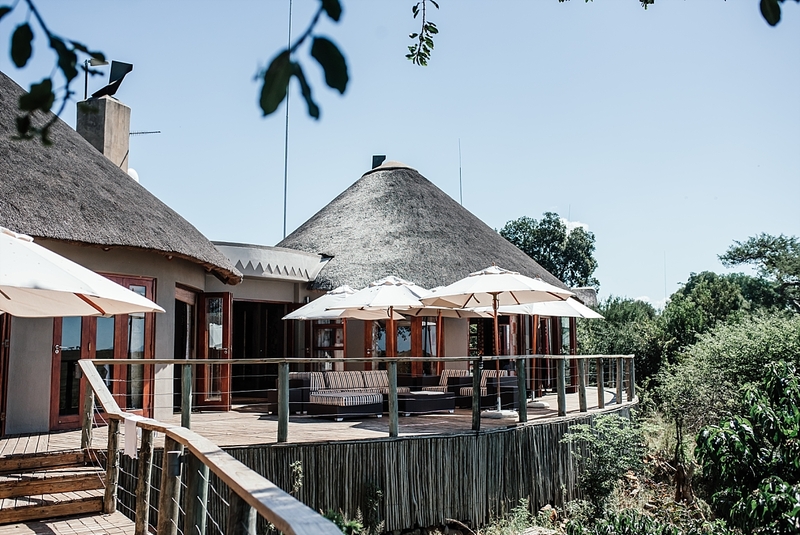 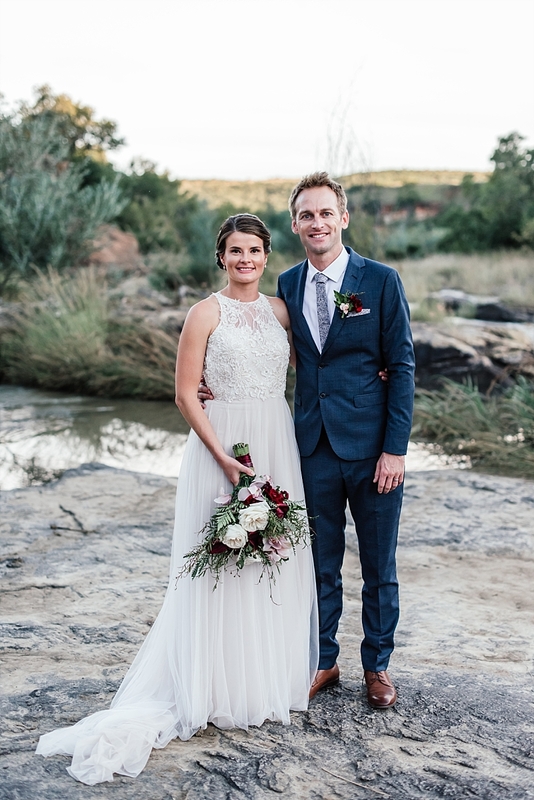 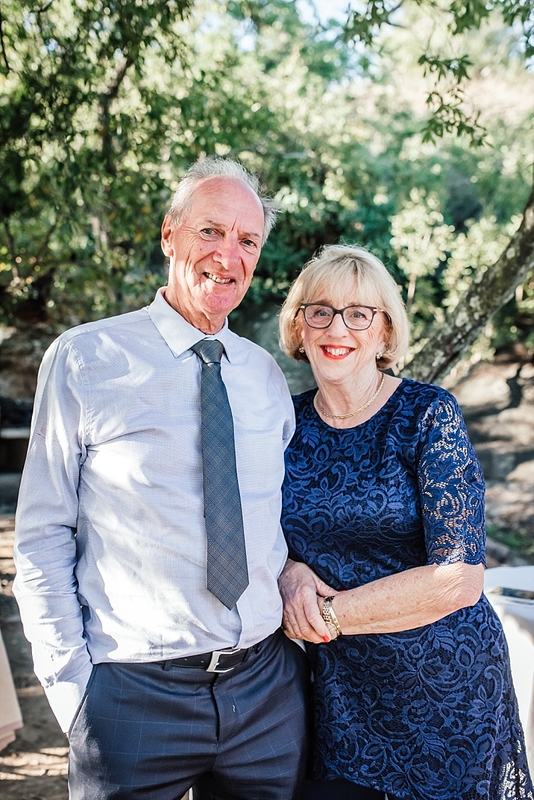 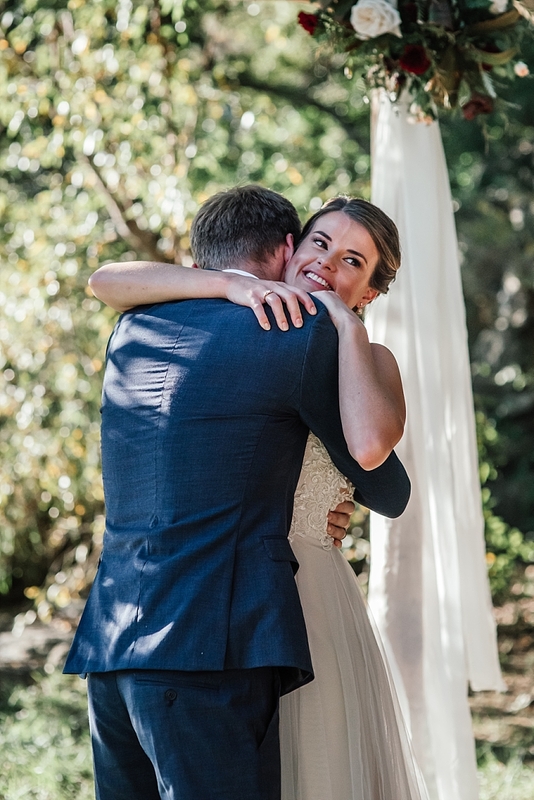 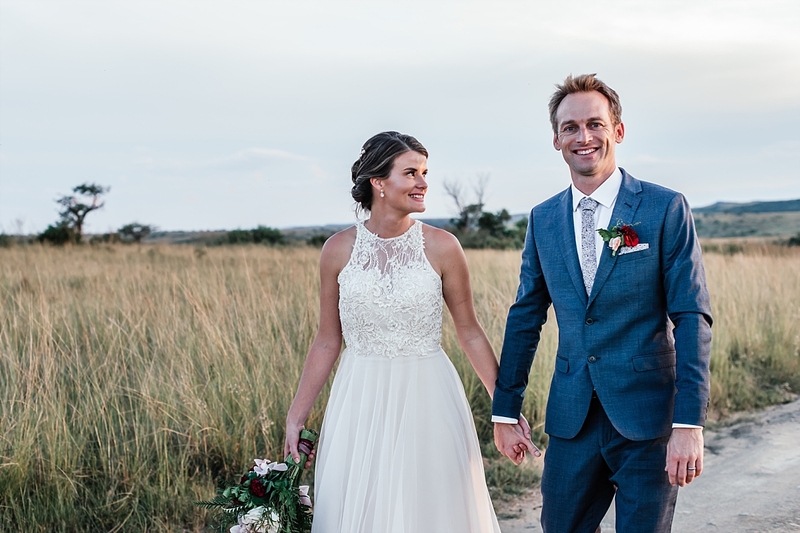 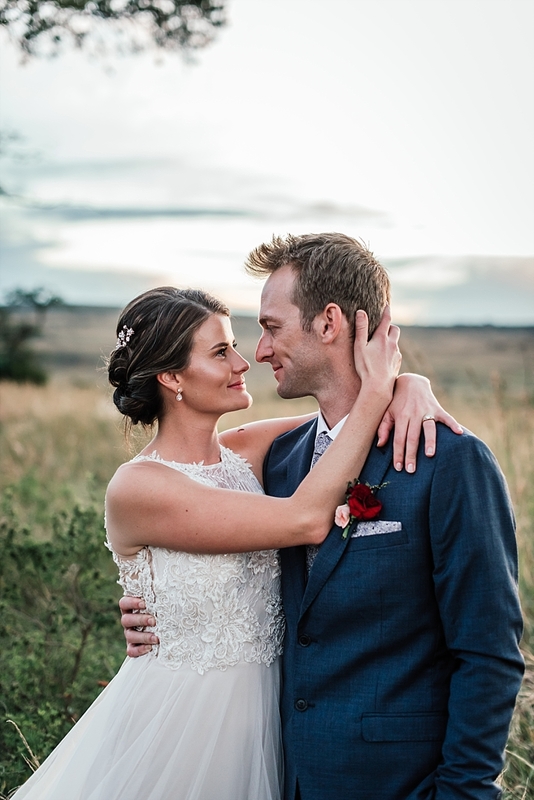 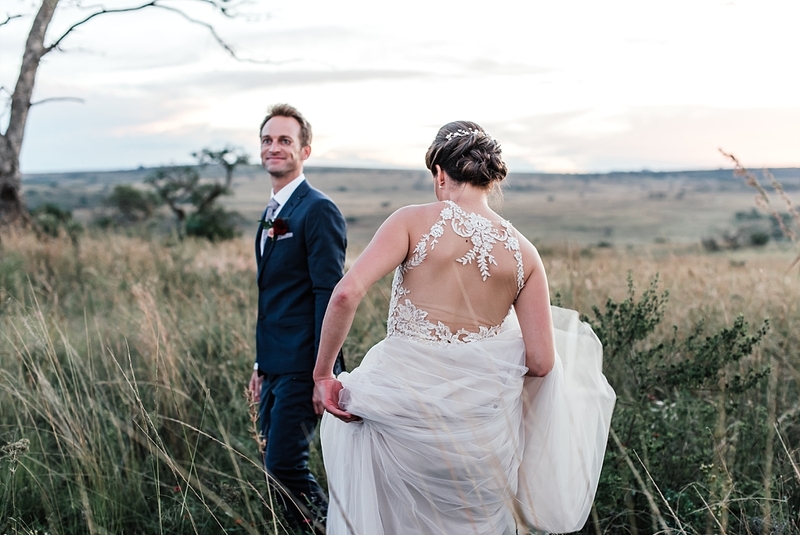 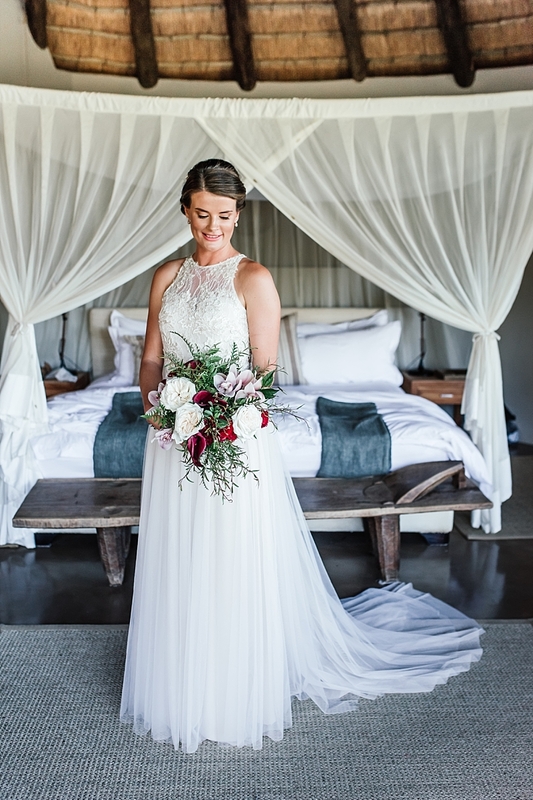 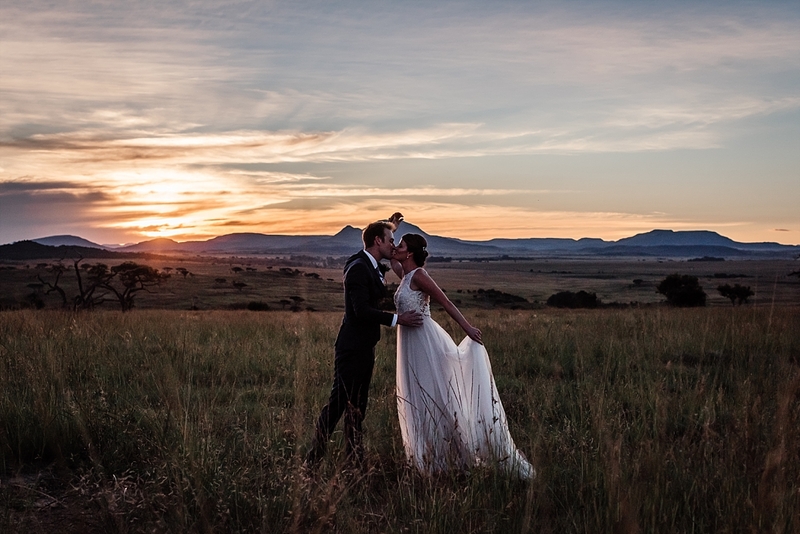 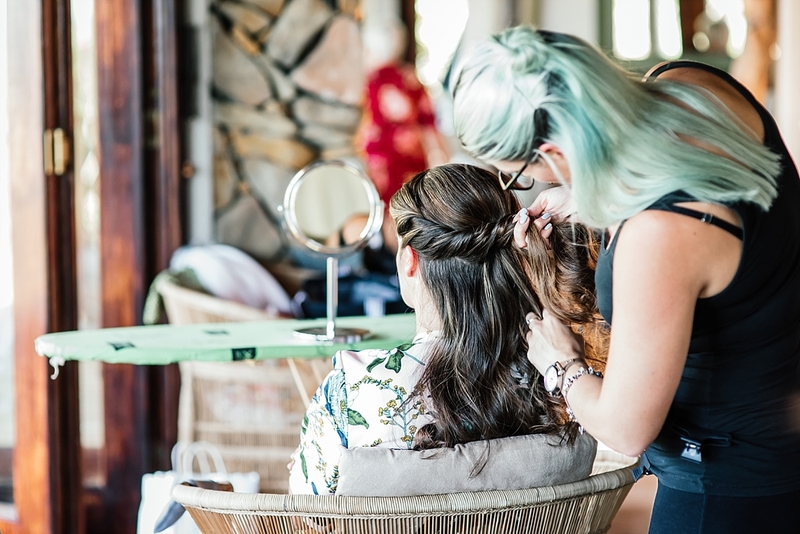 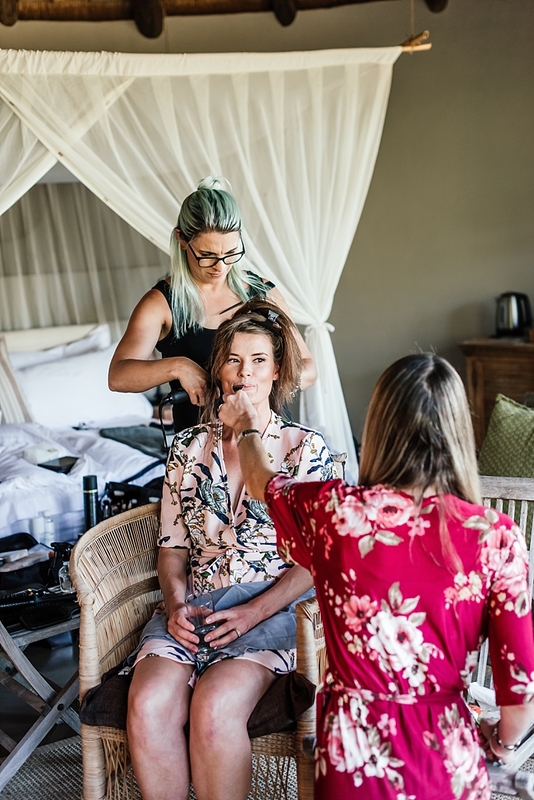 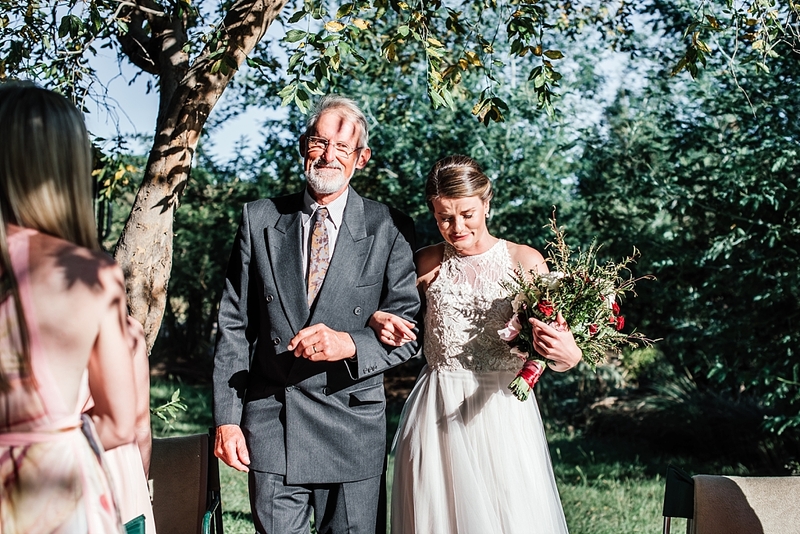 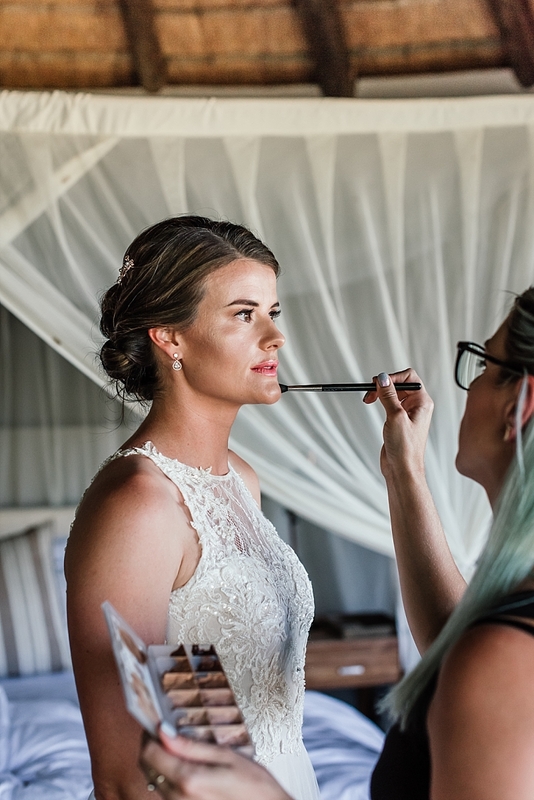 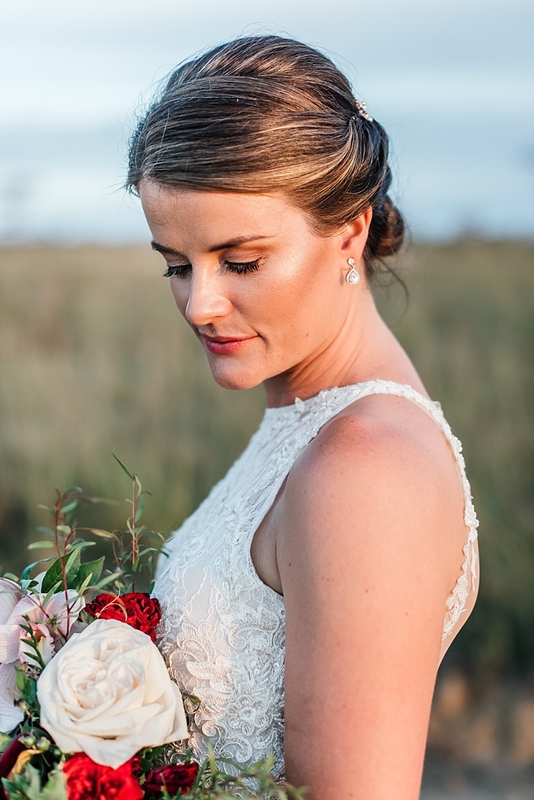 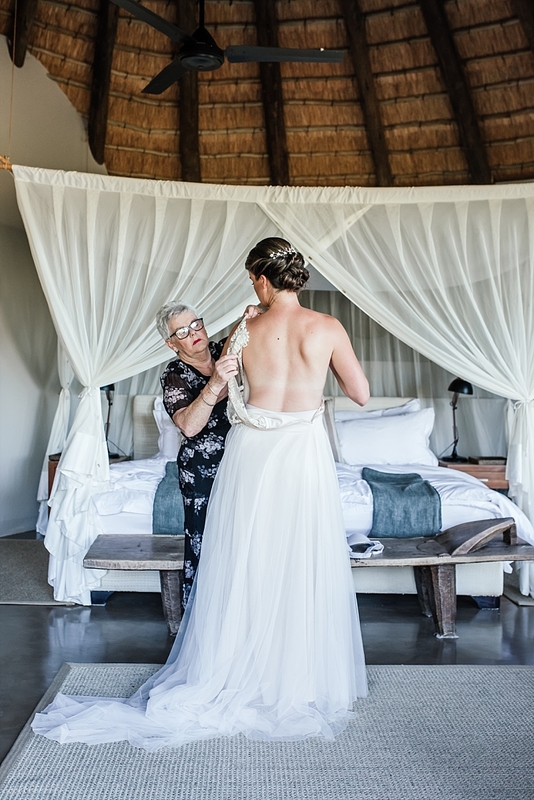 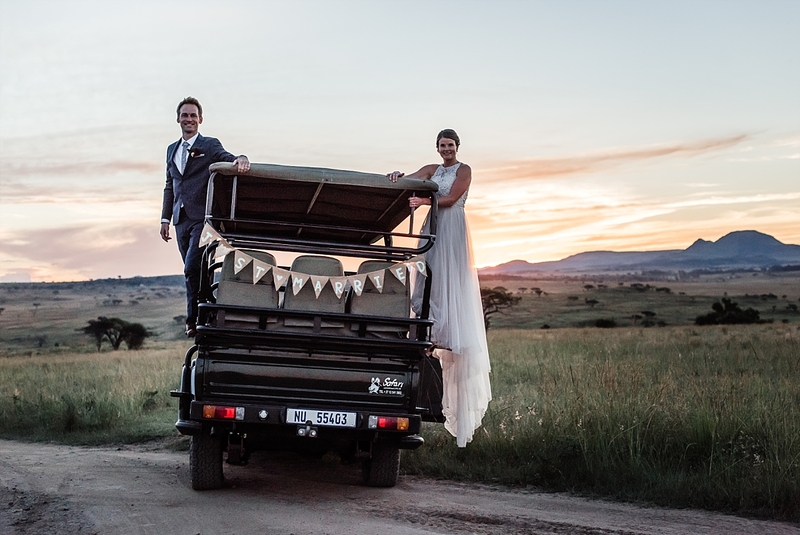 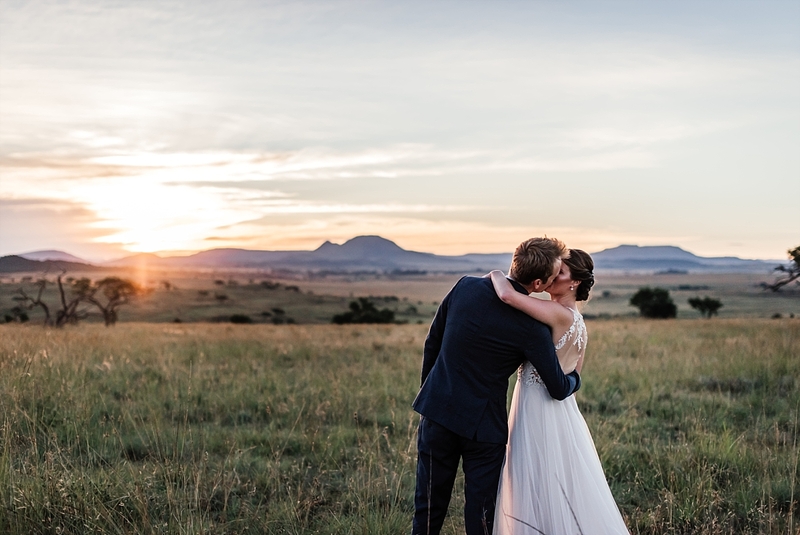 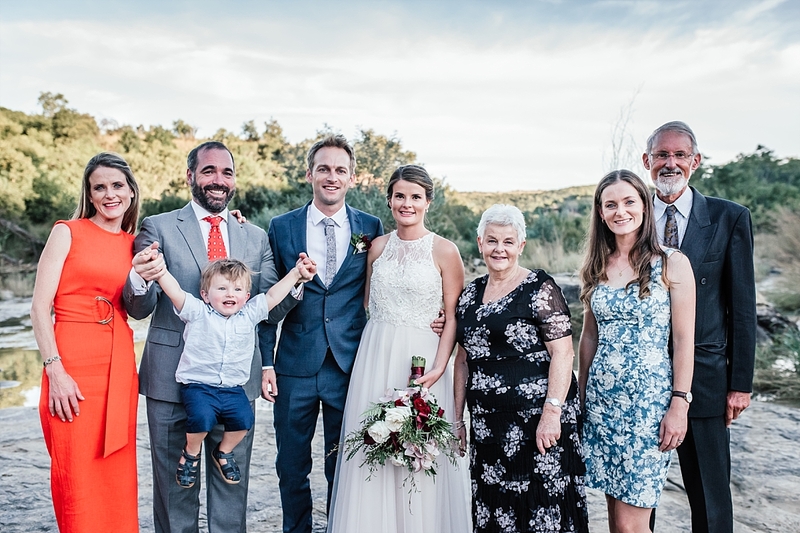 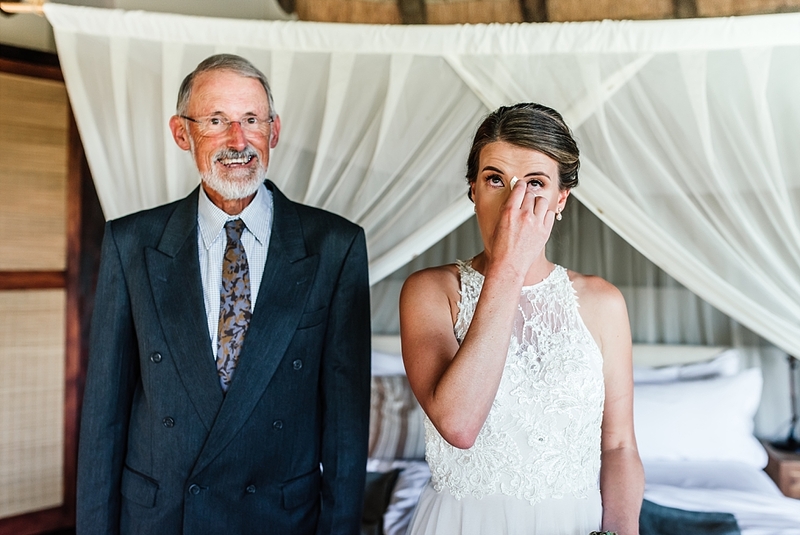 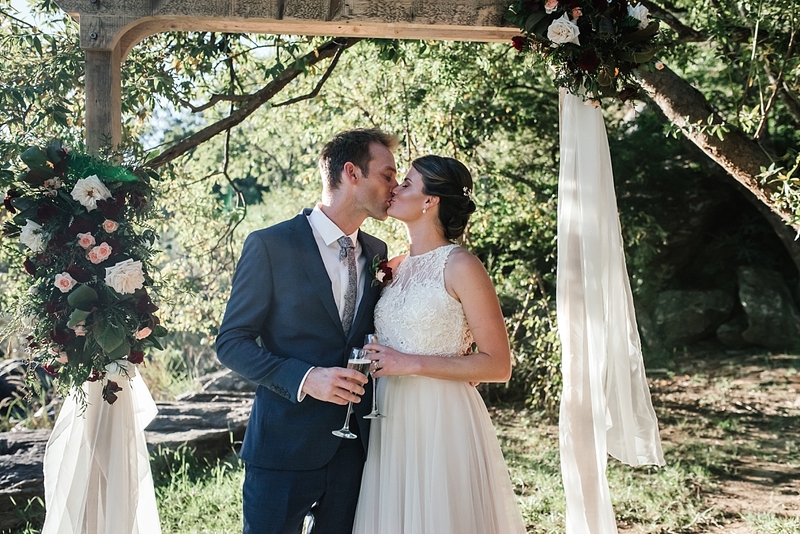 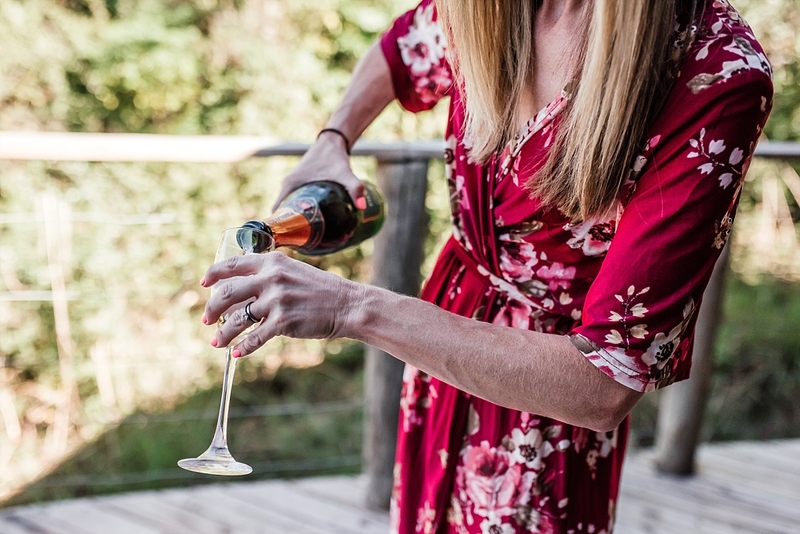 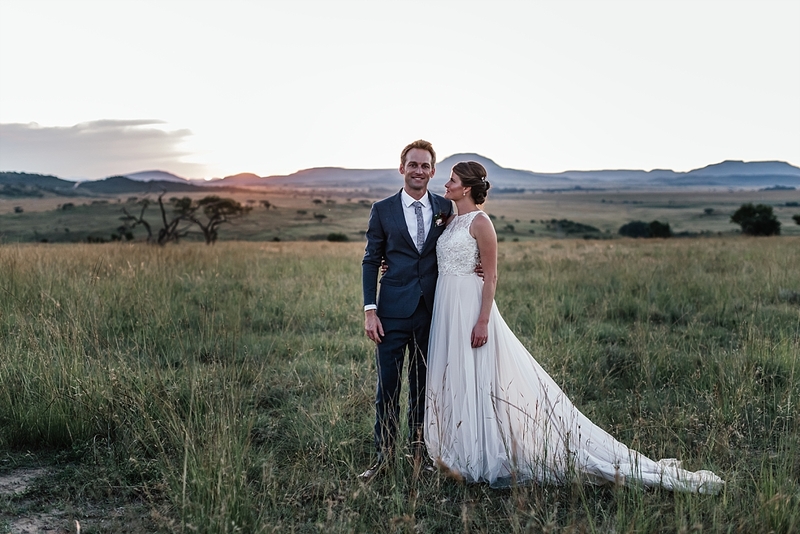 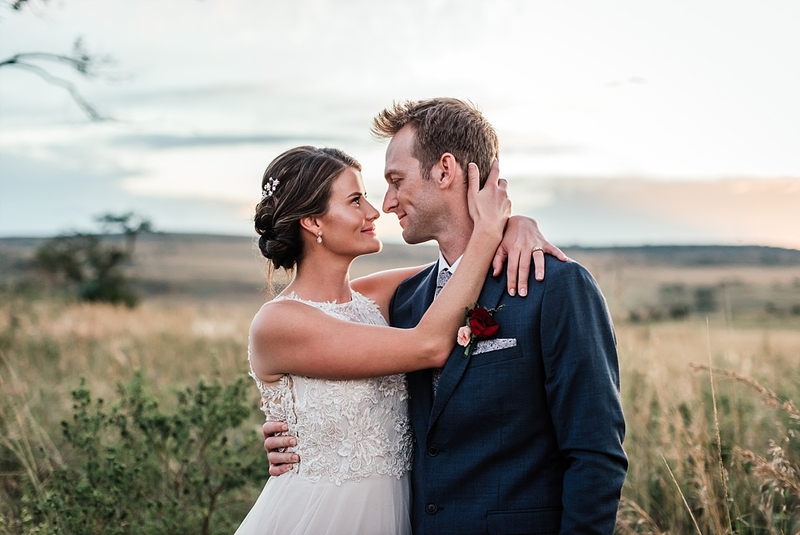 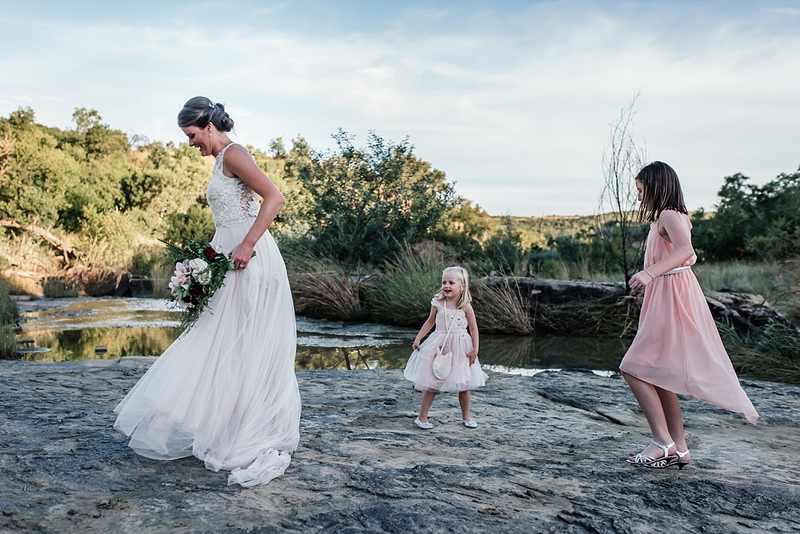 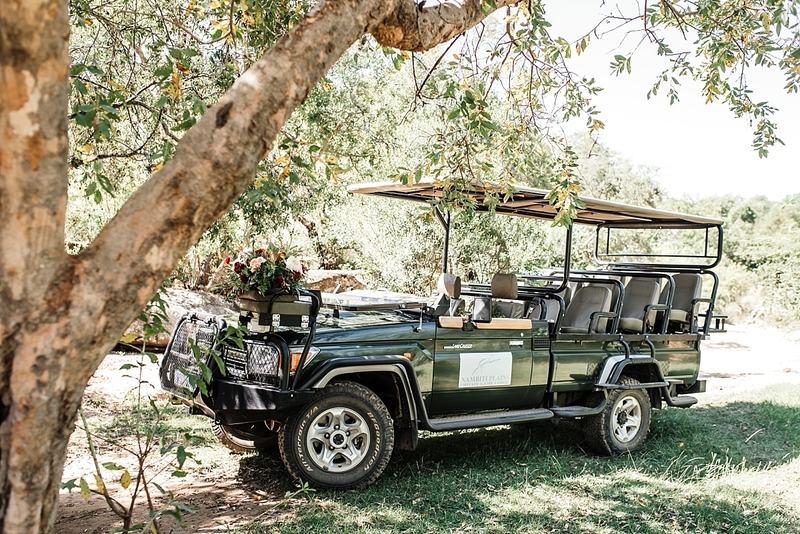 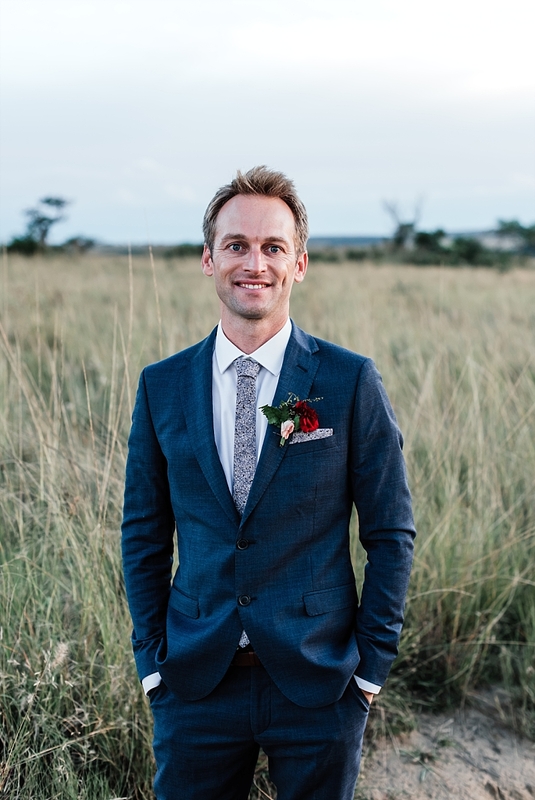 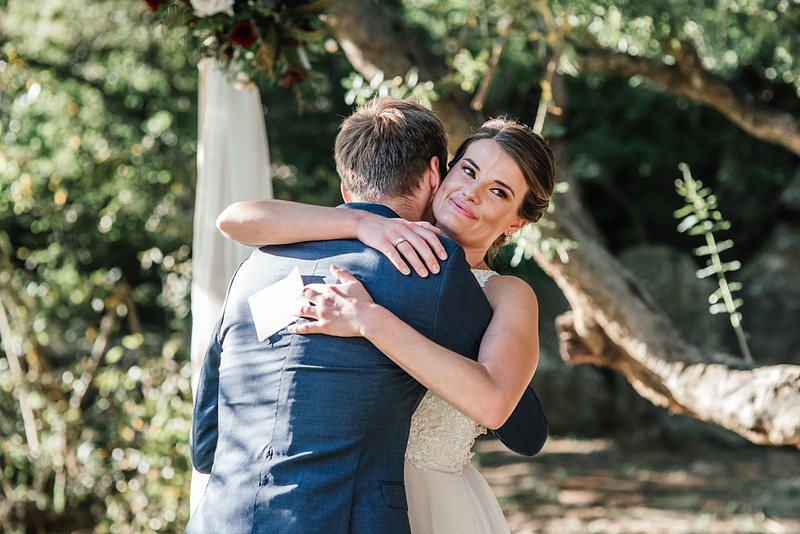 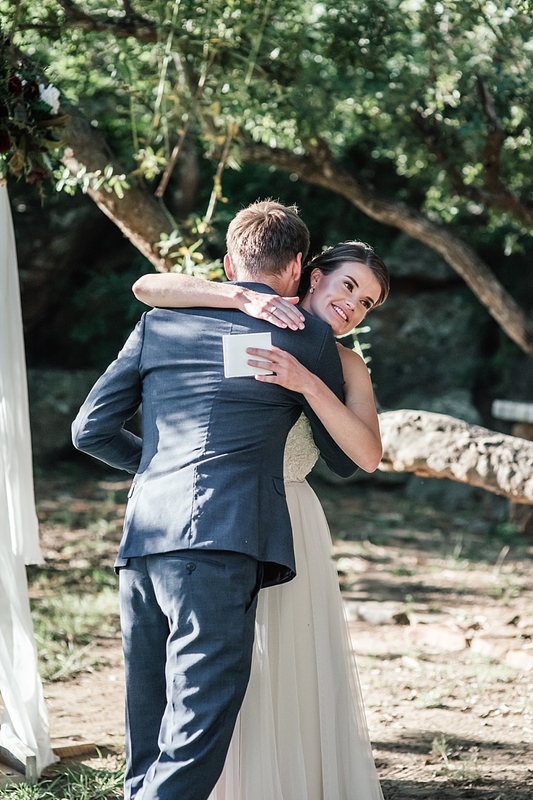 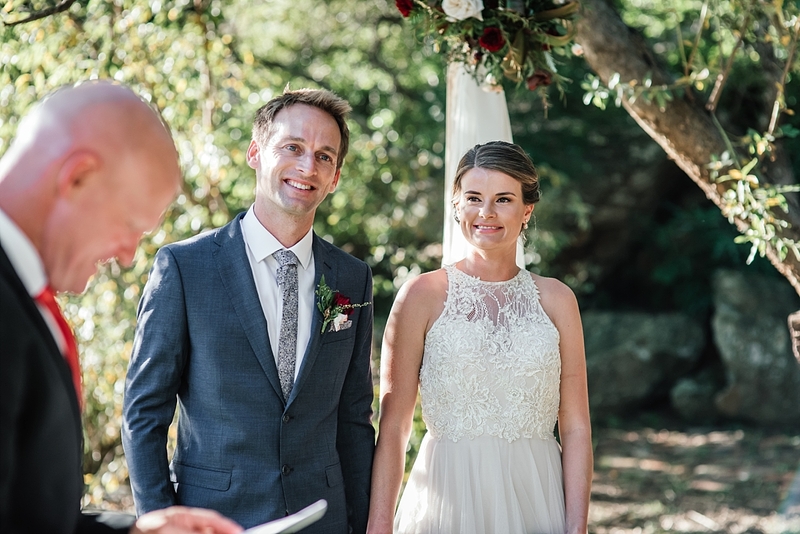 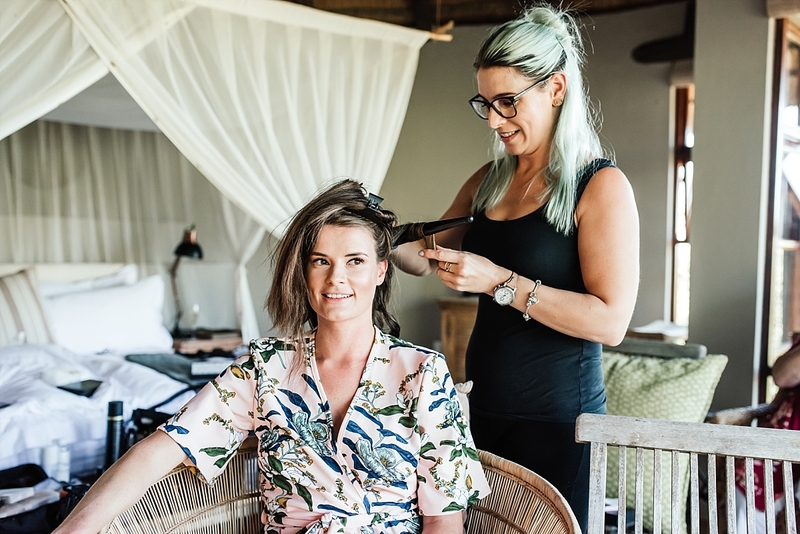 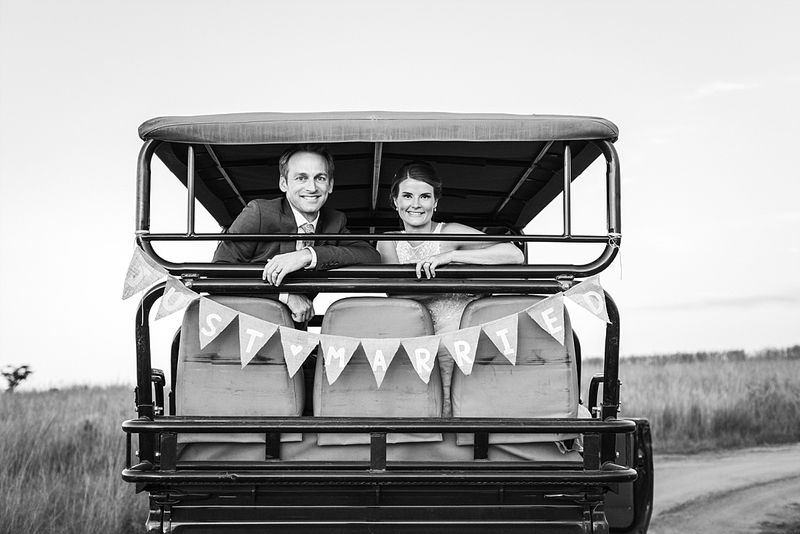 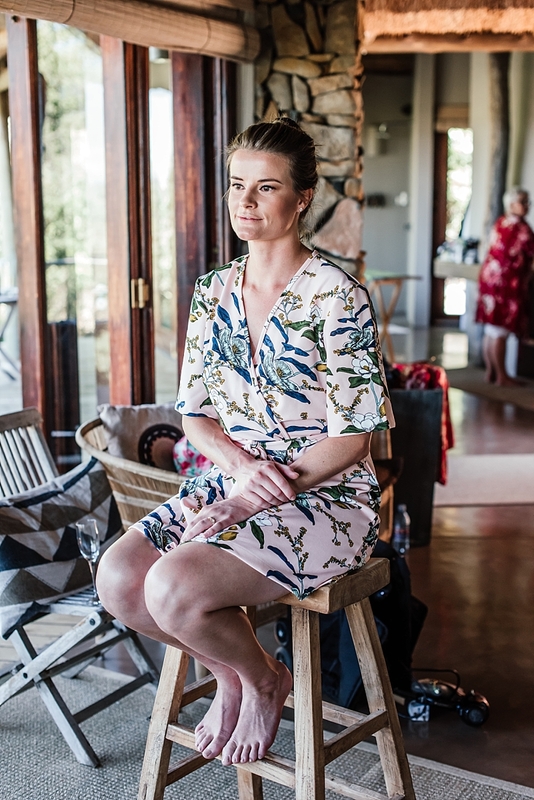 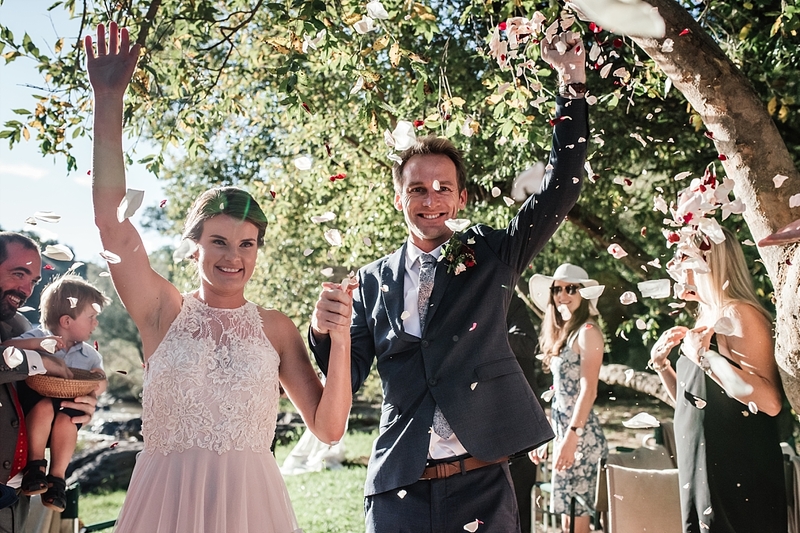 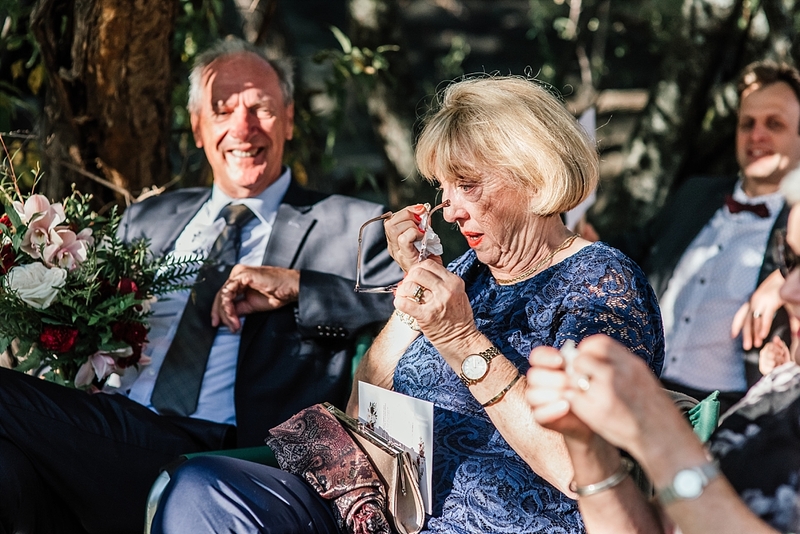 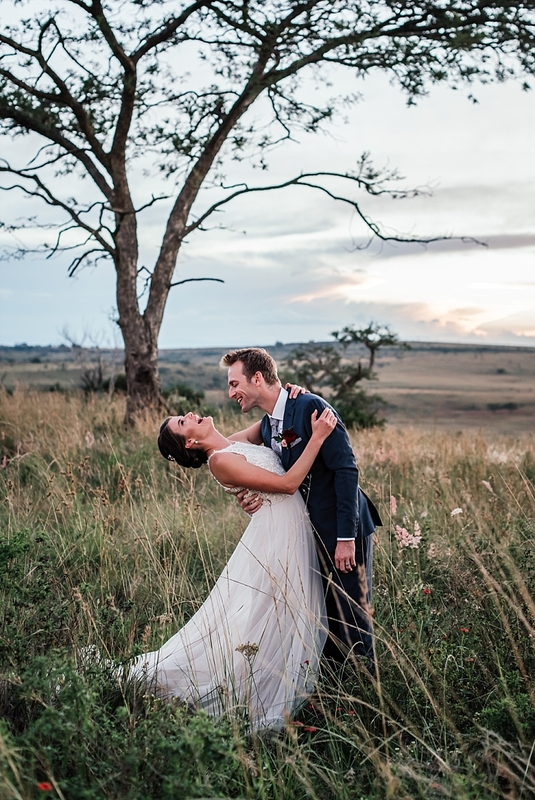 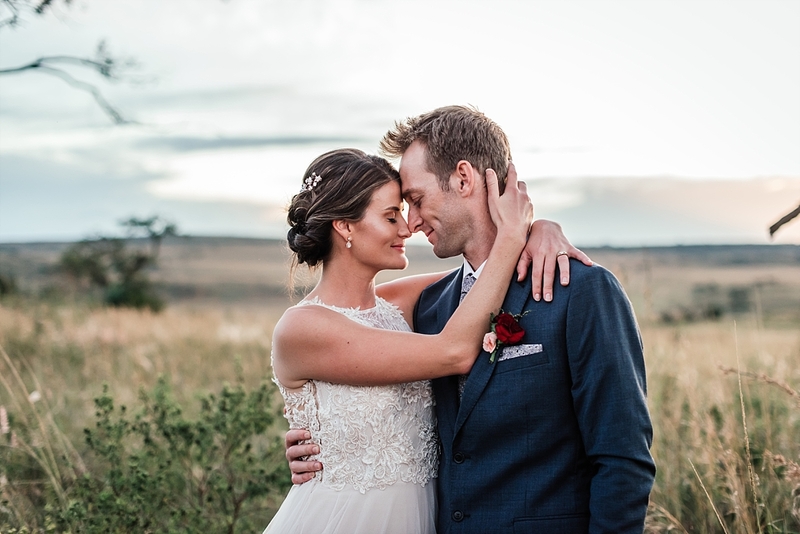 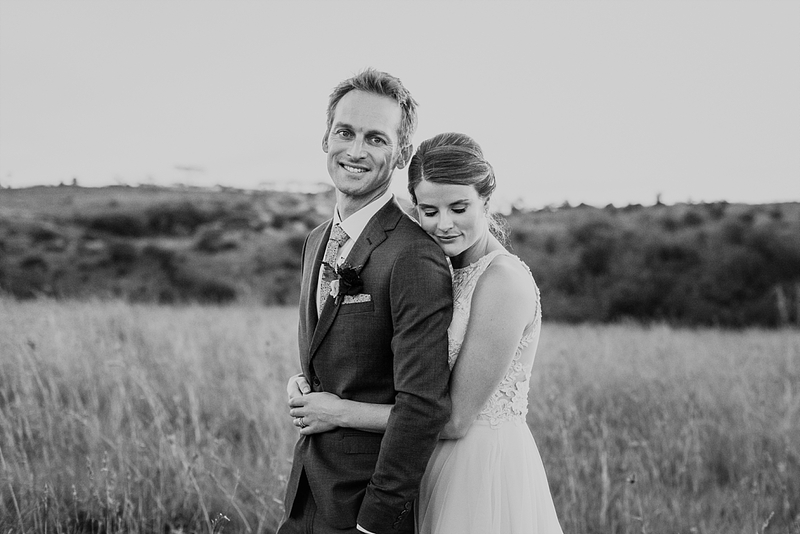 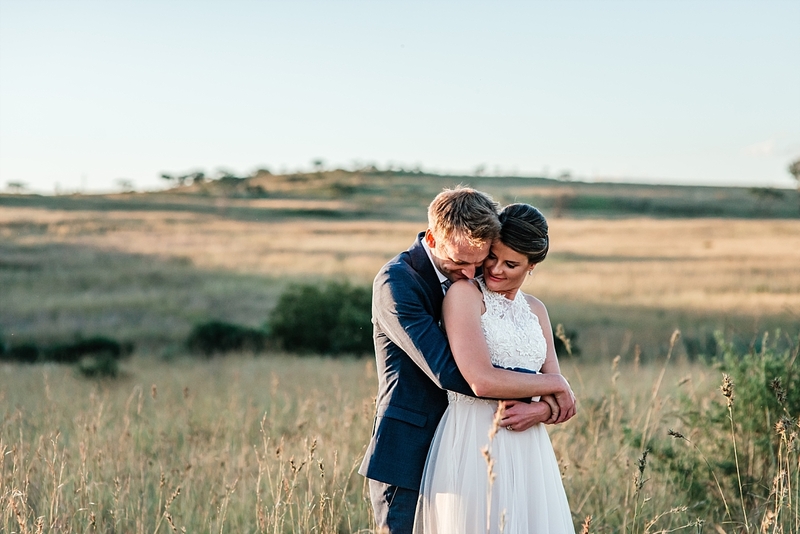 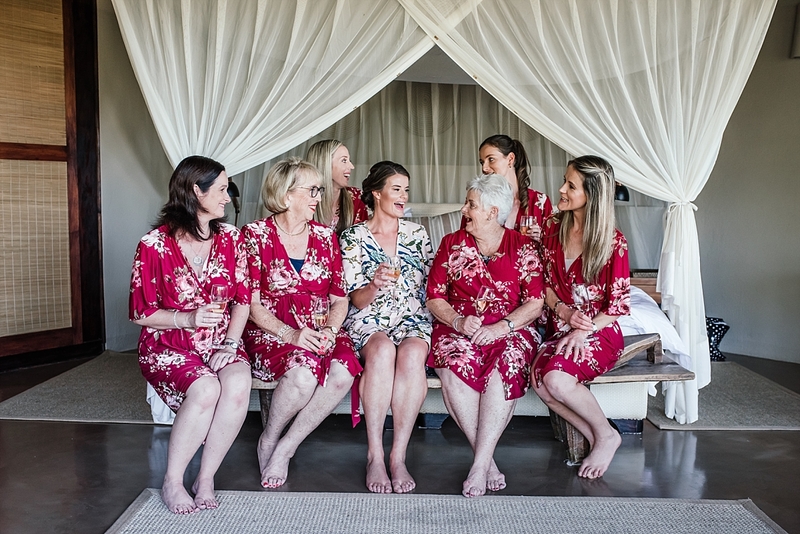 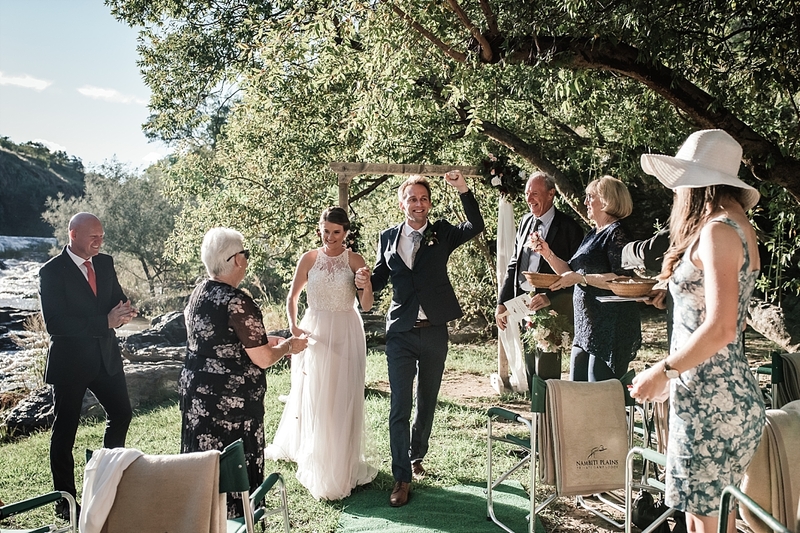 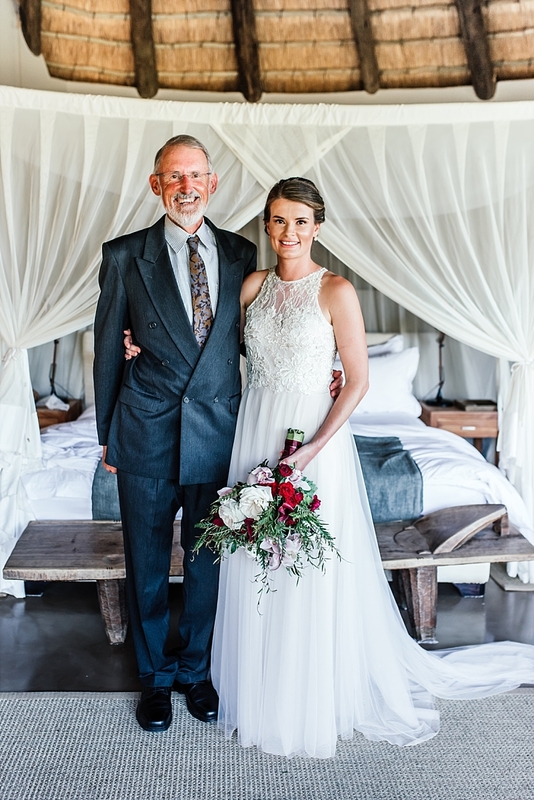 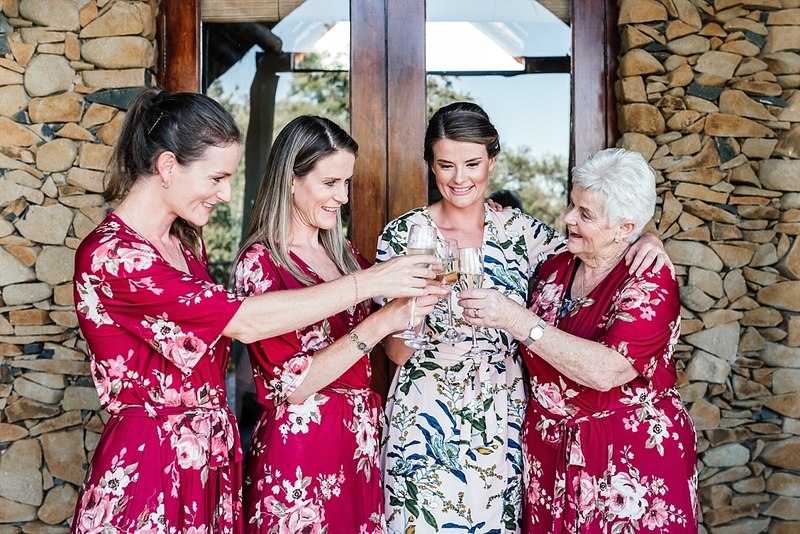 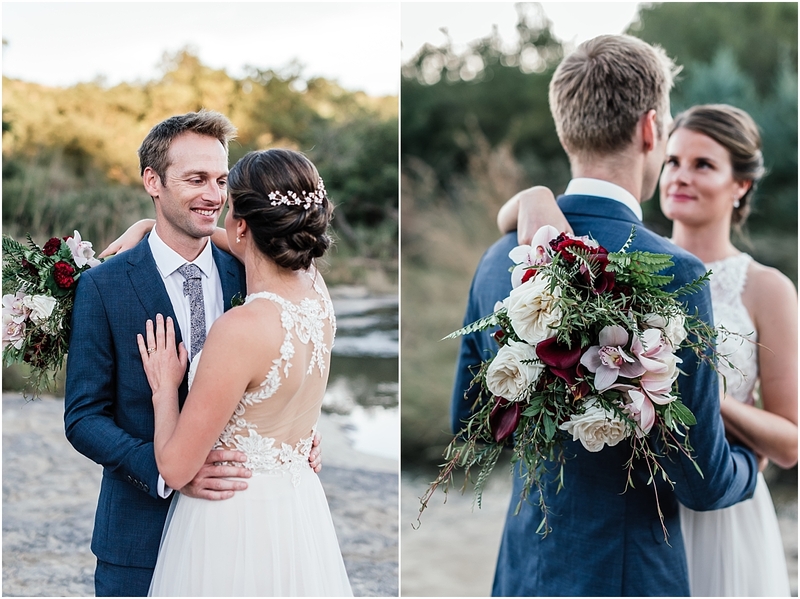 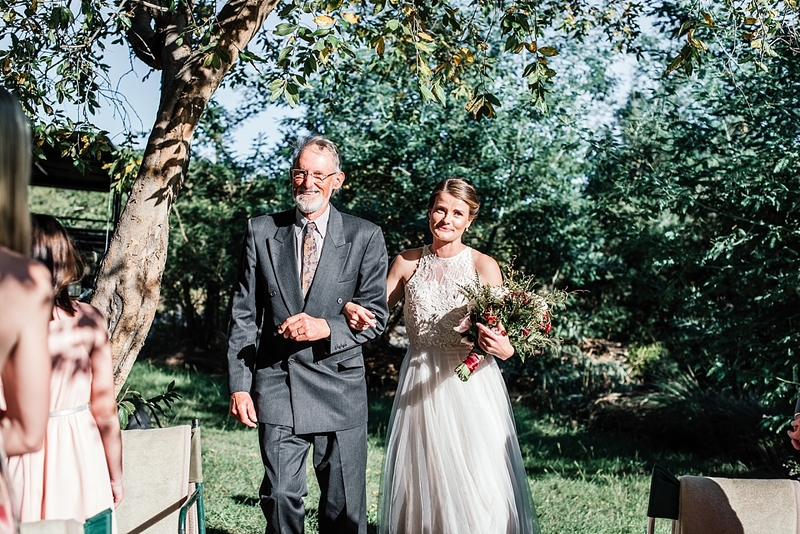 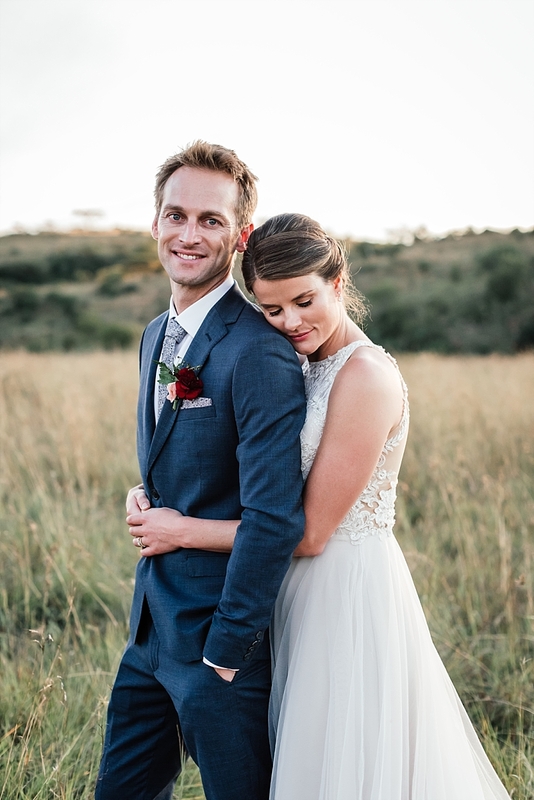 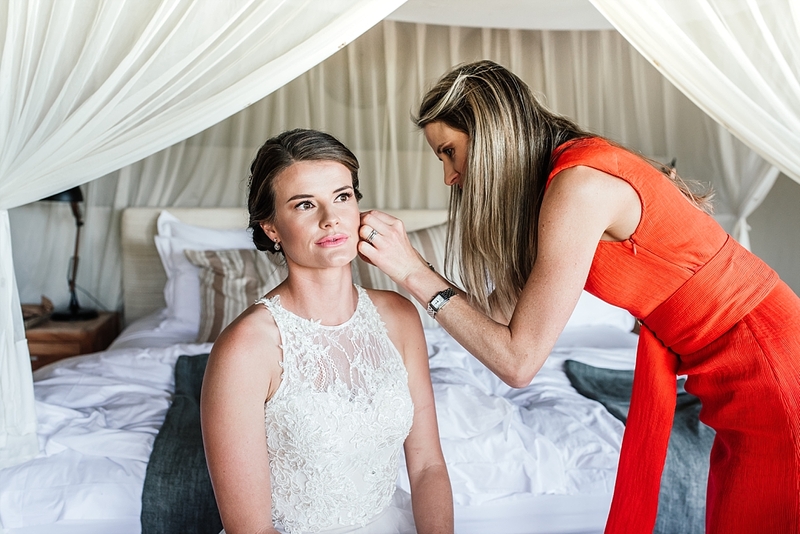 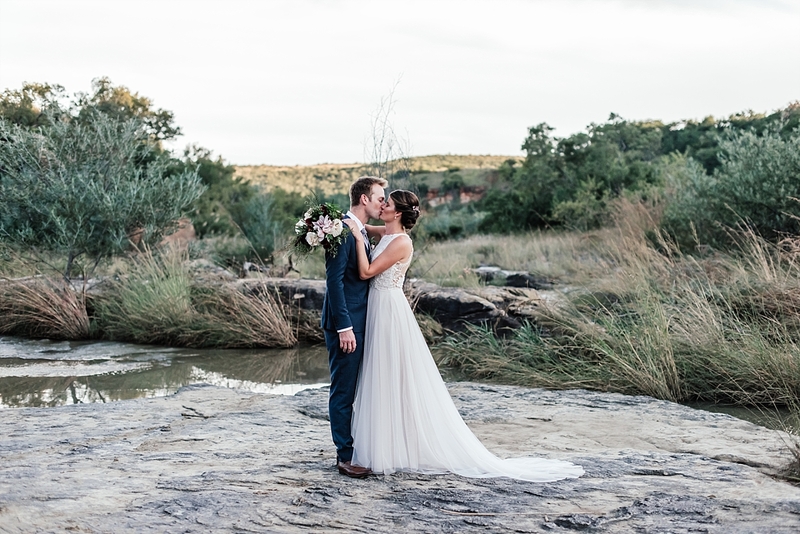 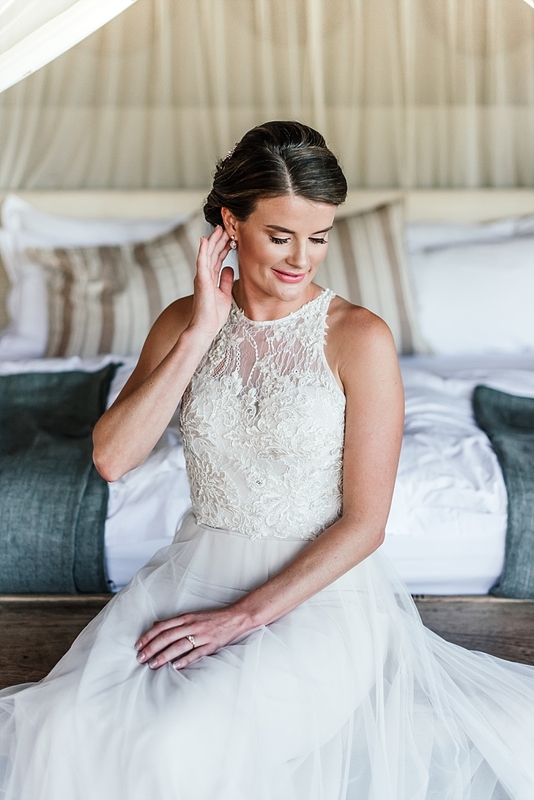 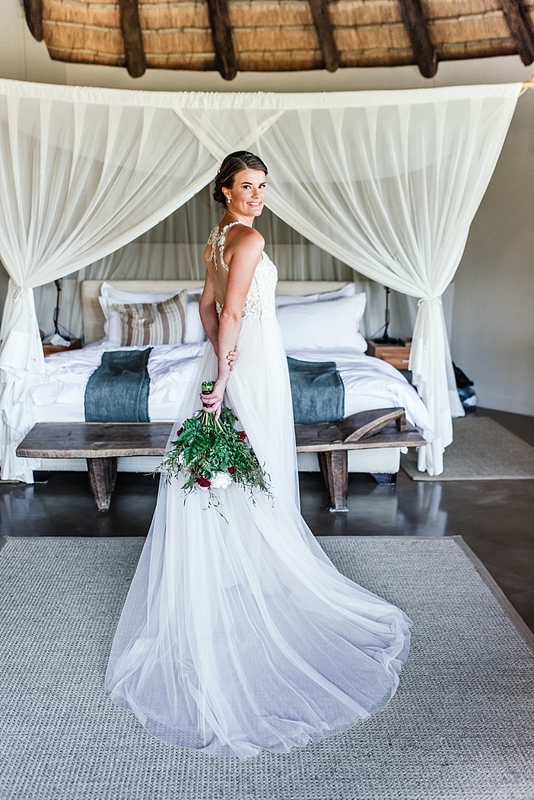 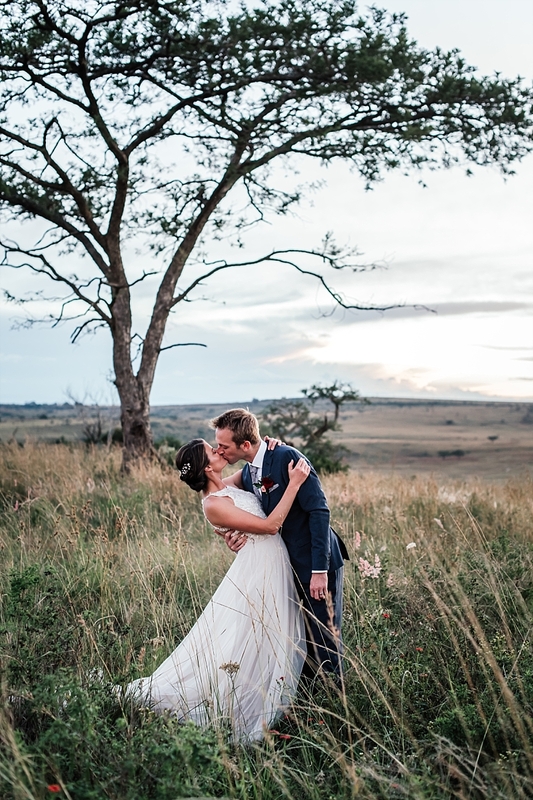 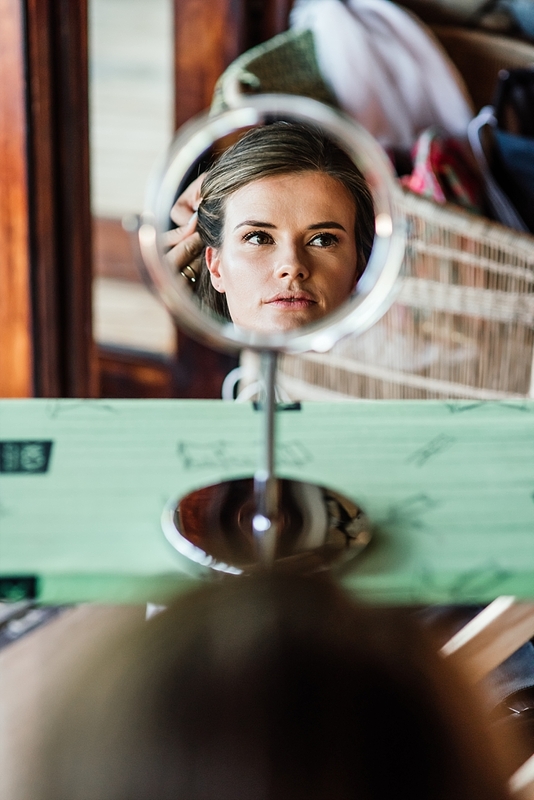 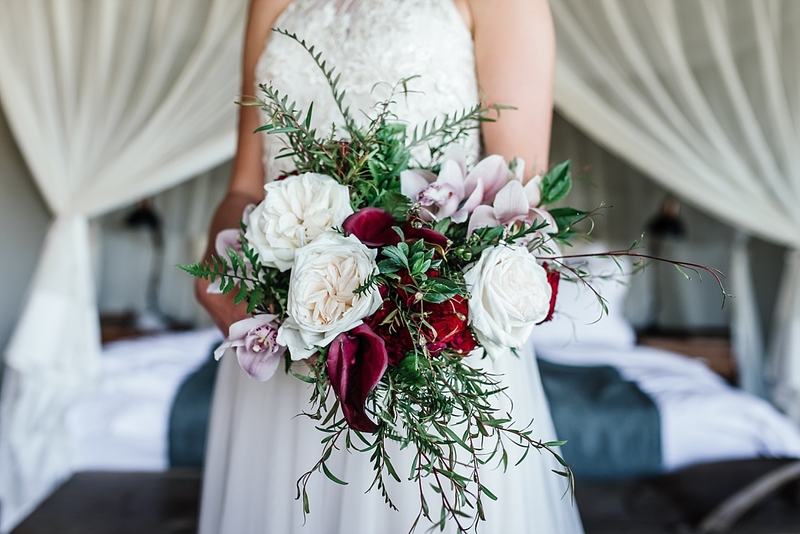 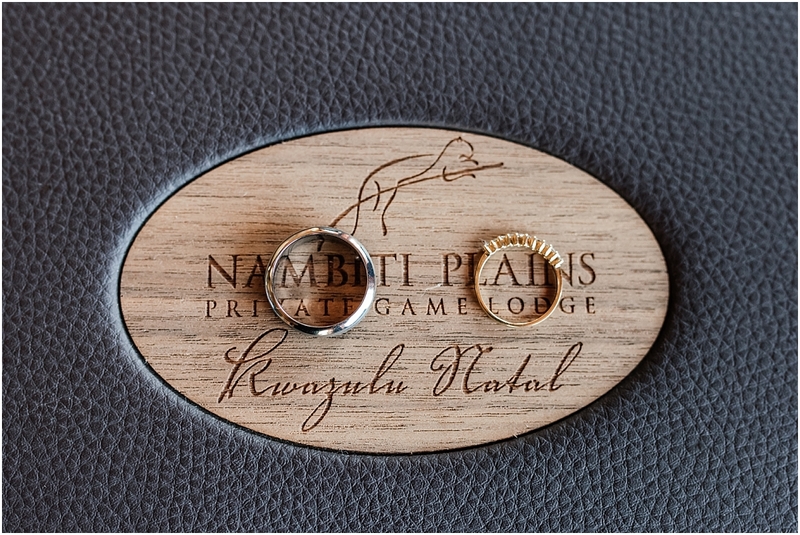 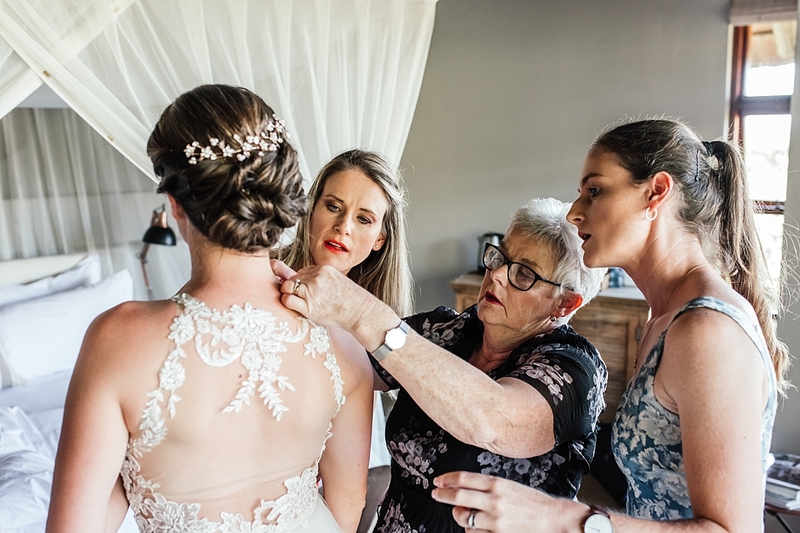 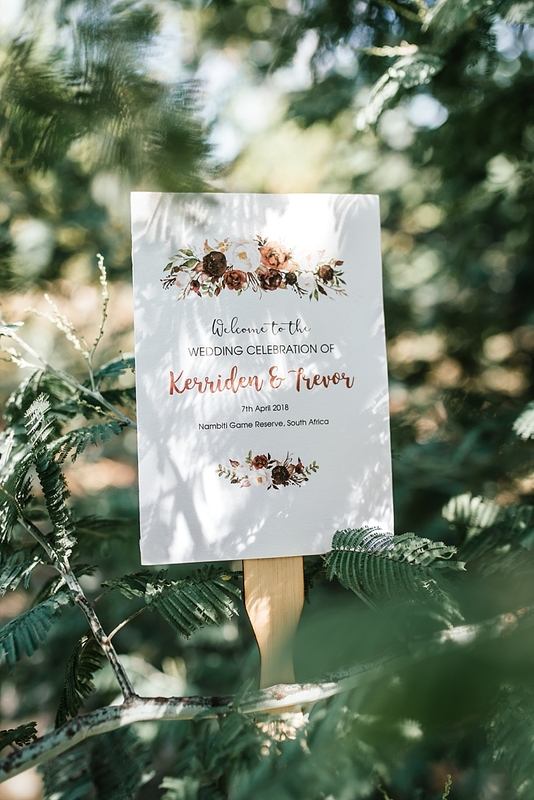 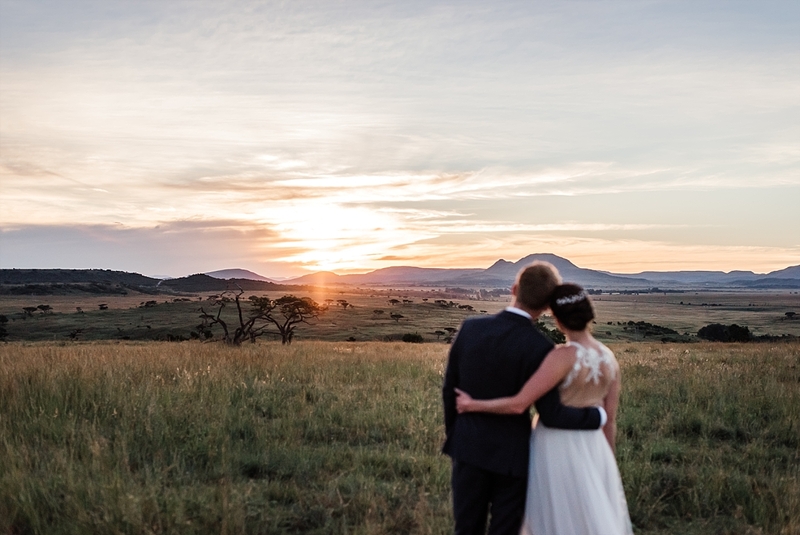 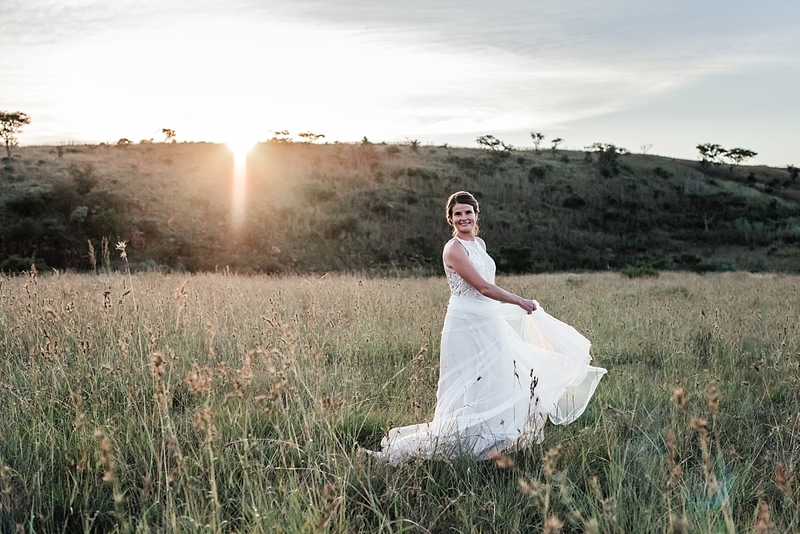 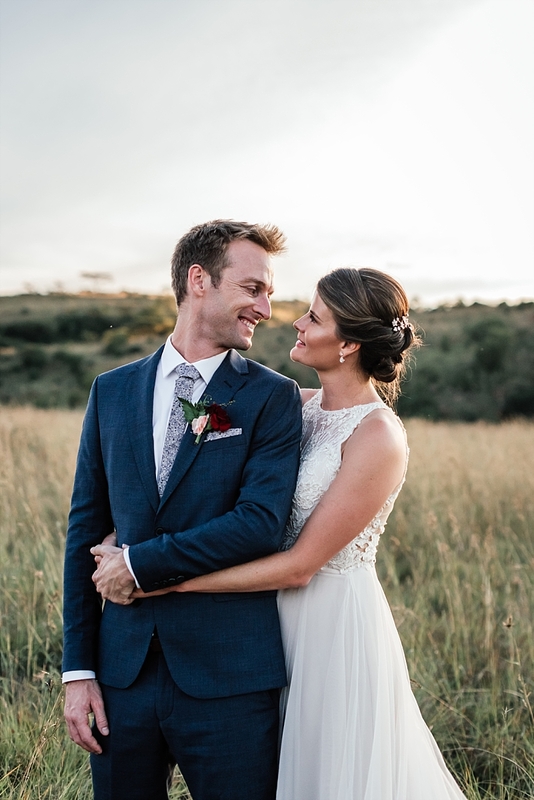 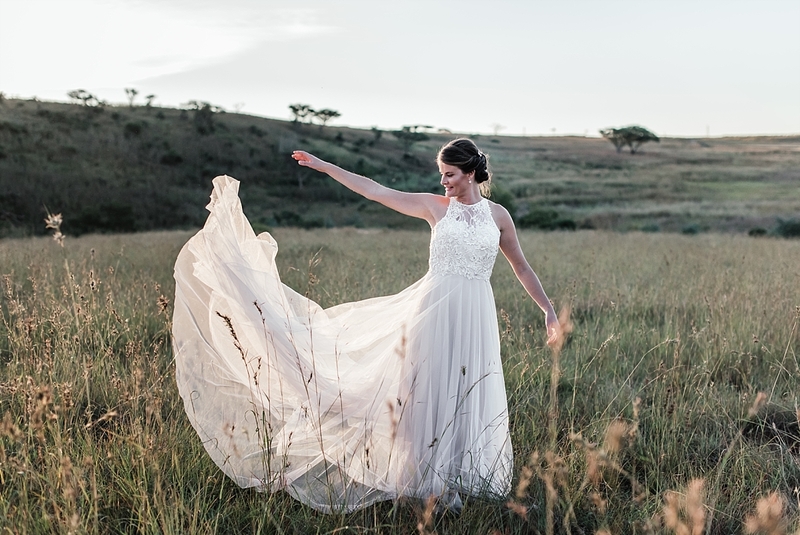 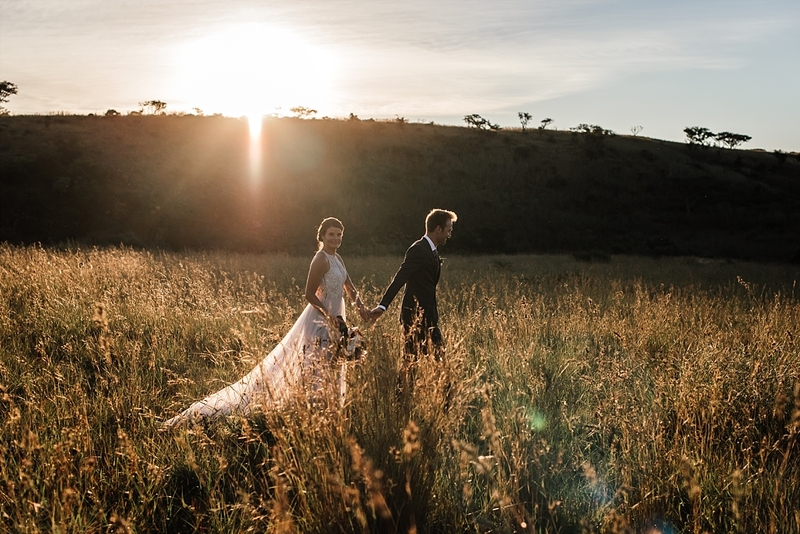 Kerriden and Trevor had the most amazing intimate bush wedding at Nambiti Plains lodge at Nambiti Private Game Reserve. 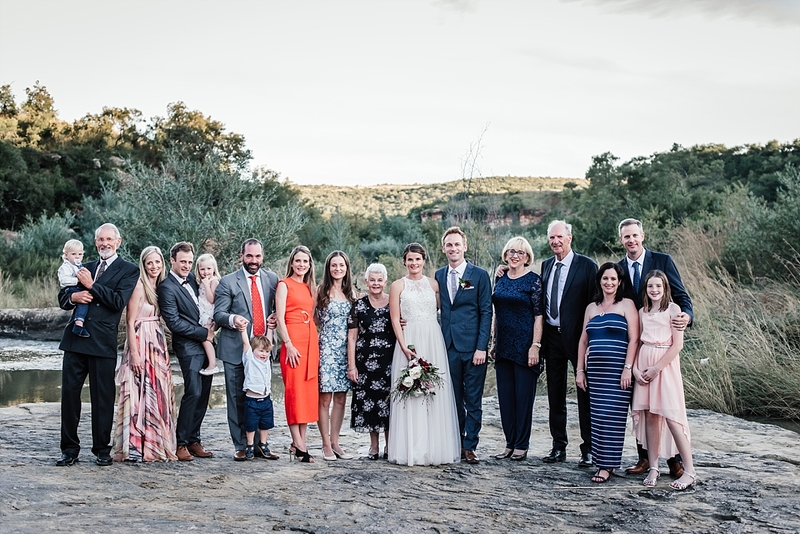 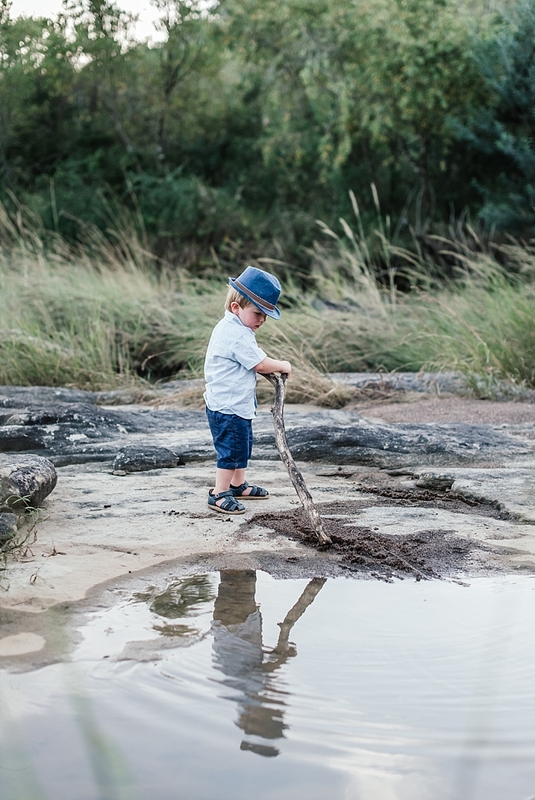 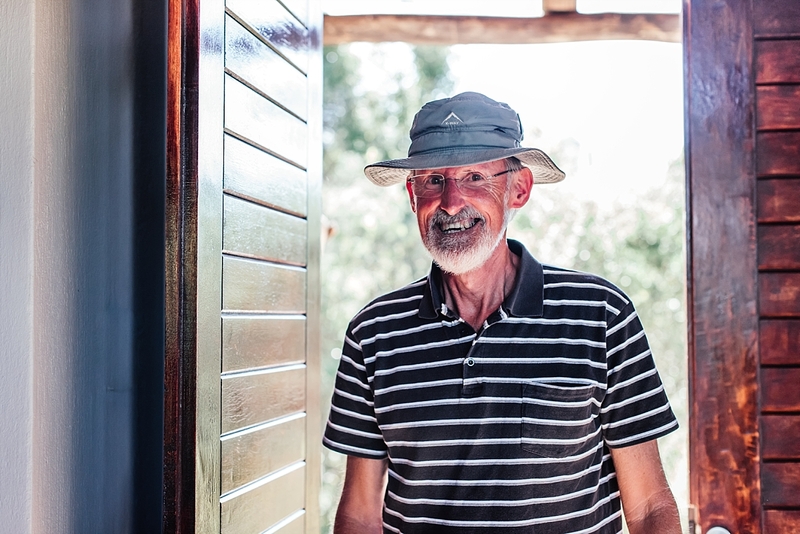 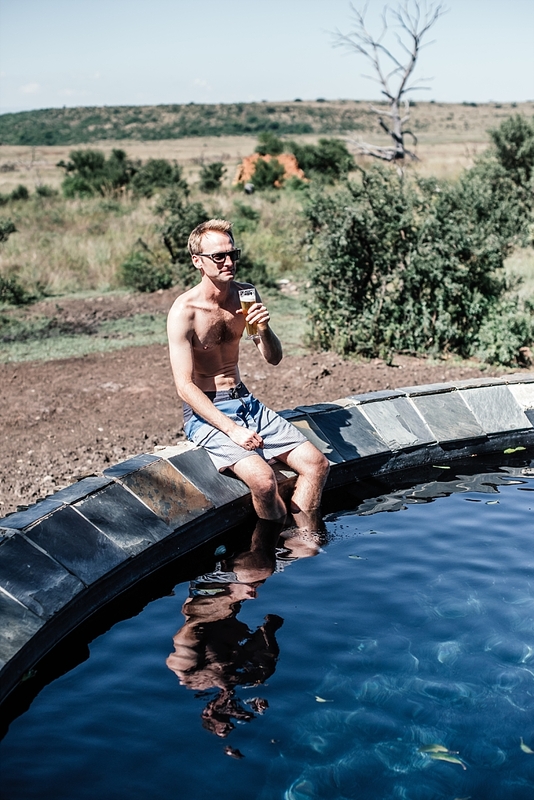 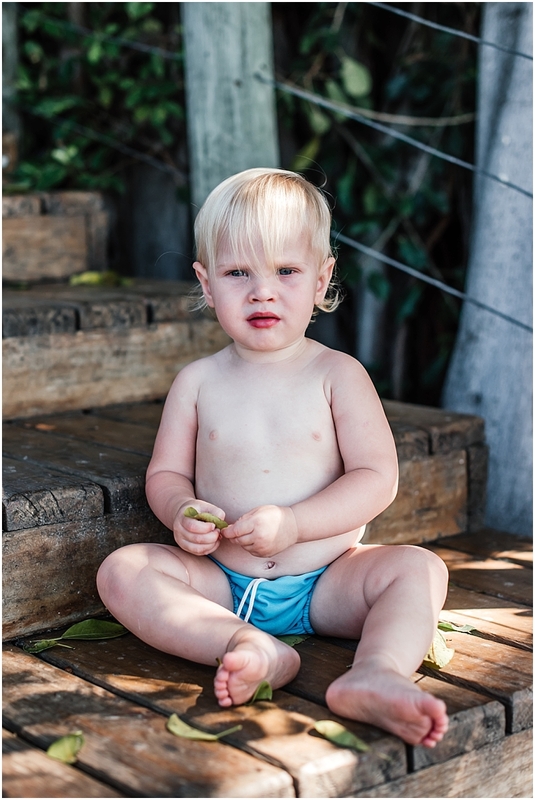 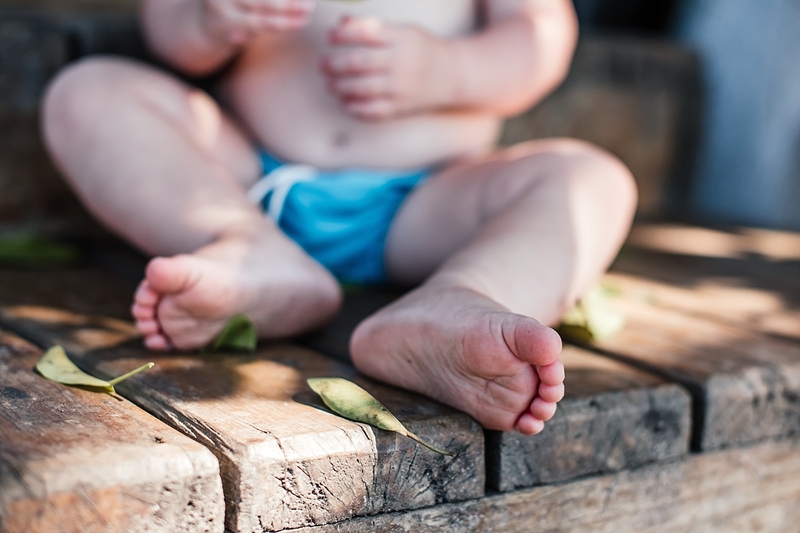 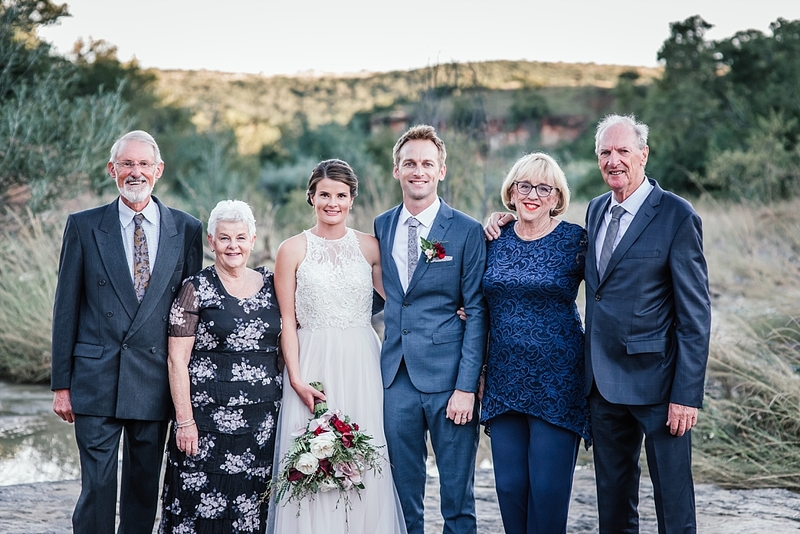 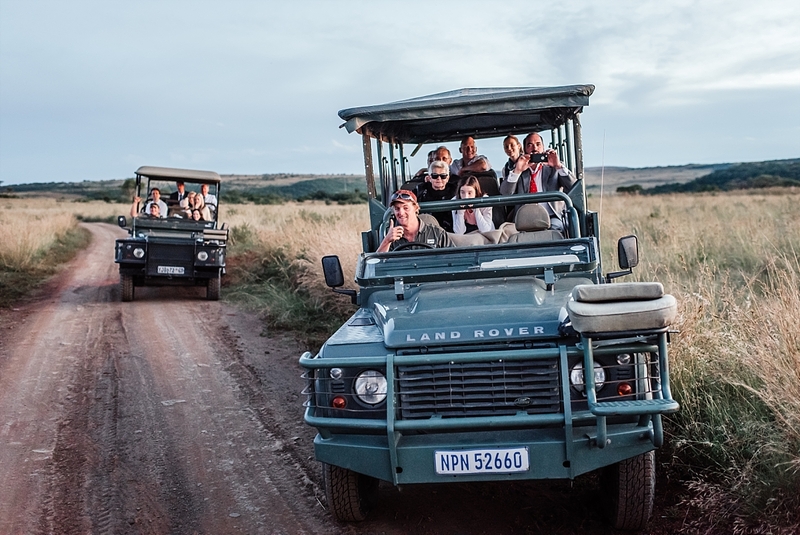 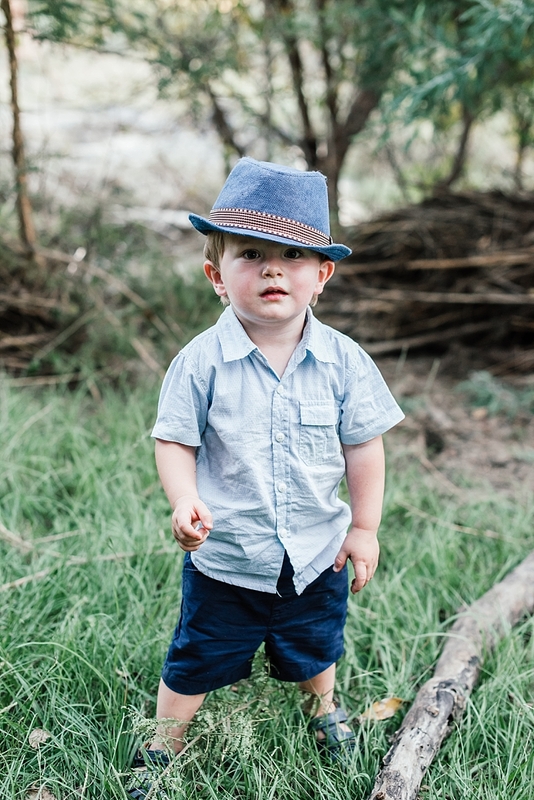 Kerriden’s family flew in from Australia and the couple and their close family spend the weekend together enjoying the South African bush. 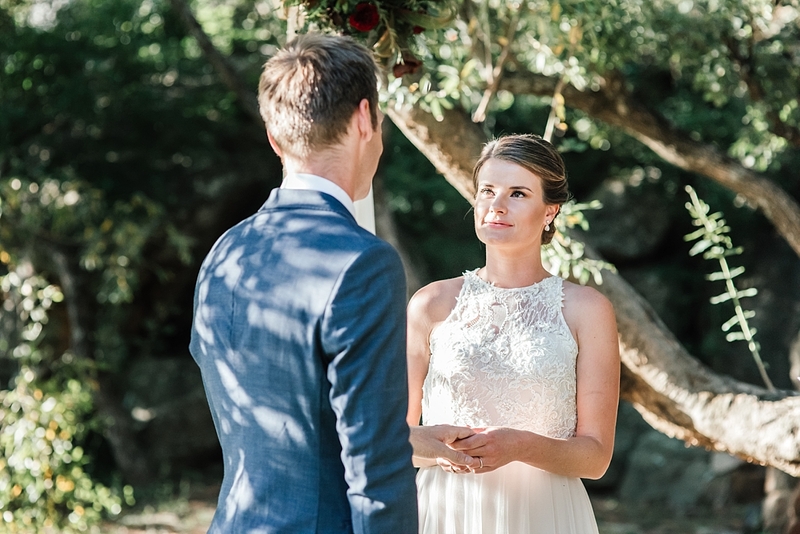 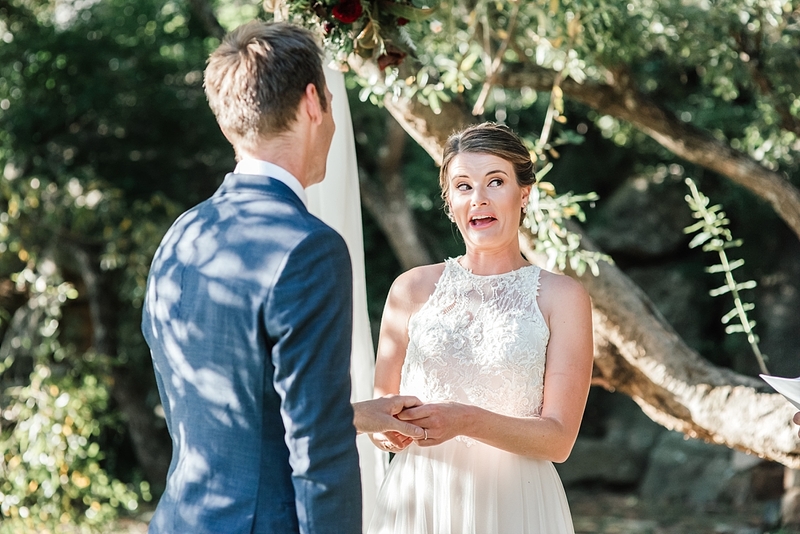 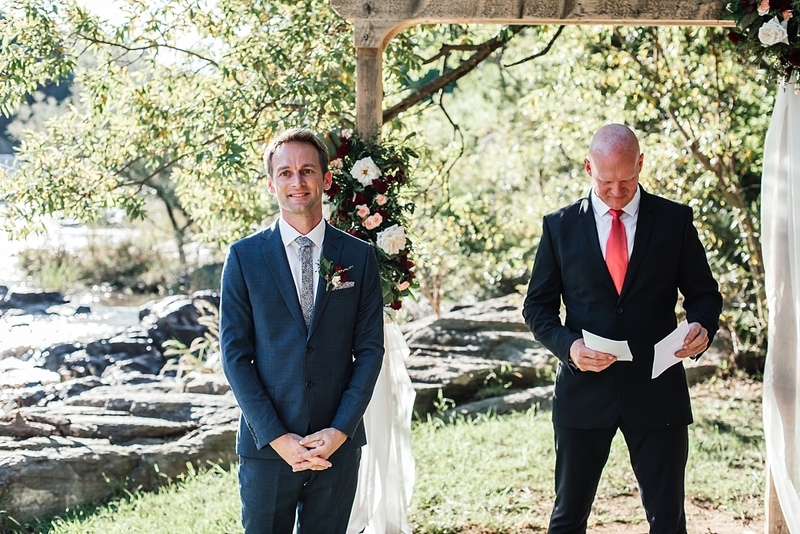 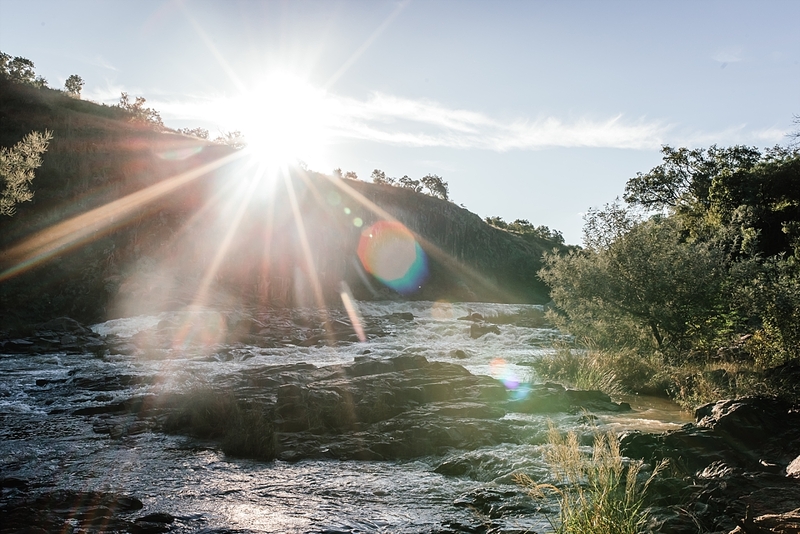 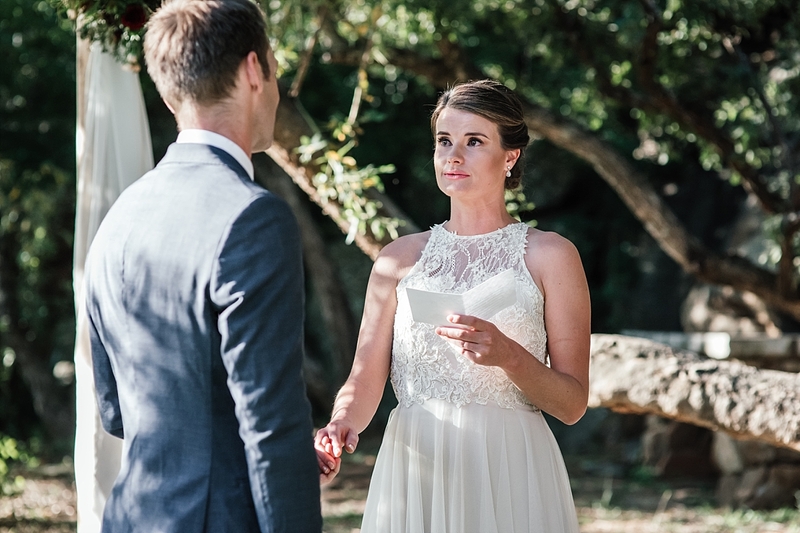 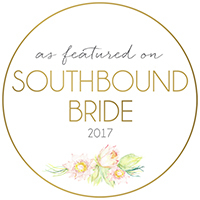 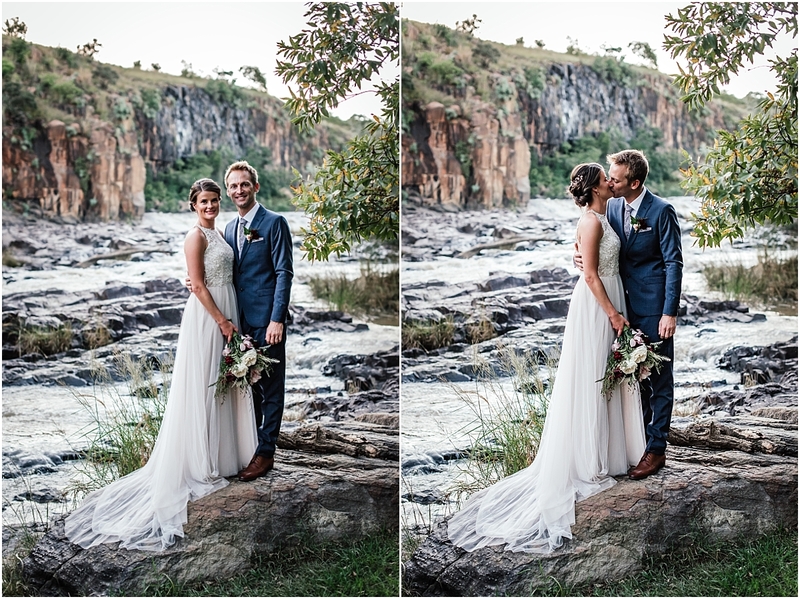 Their ceremony took place at a beautiful spot next to a fast flowing river. 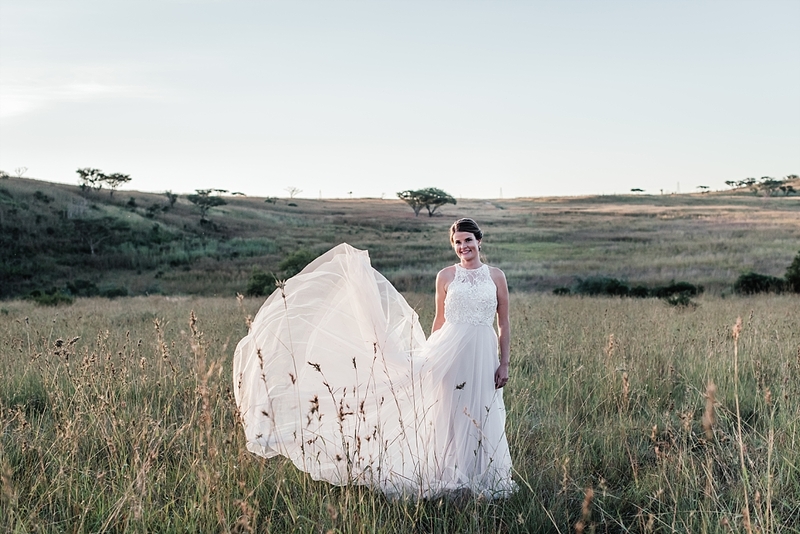 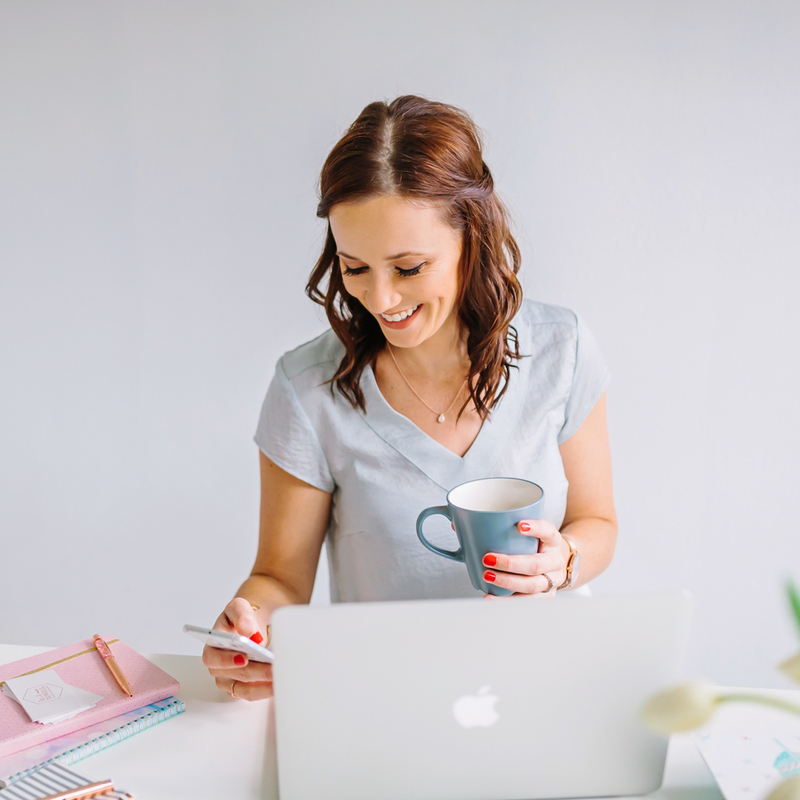 Kerriden was a vision in her gorgeous dress by Brit & Bride and being a very talented pastry cheff, she made her stunning wedding cake herself. 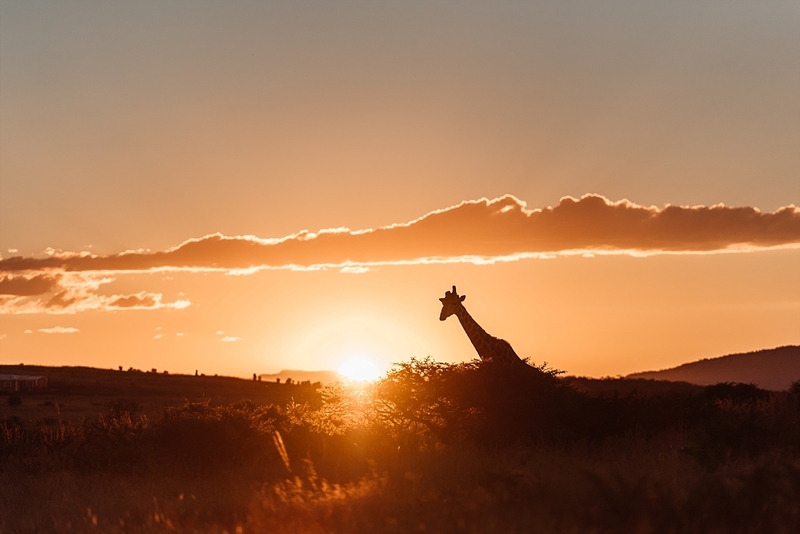 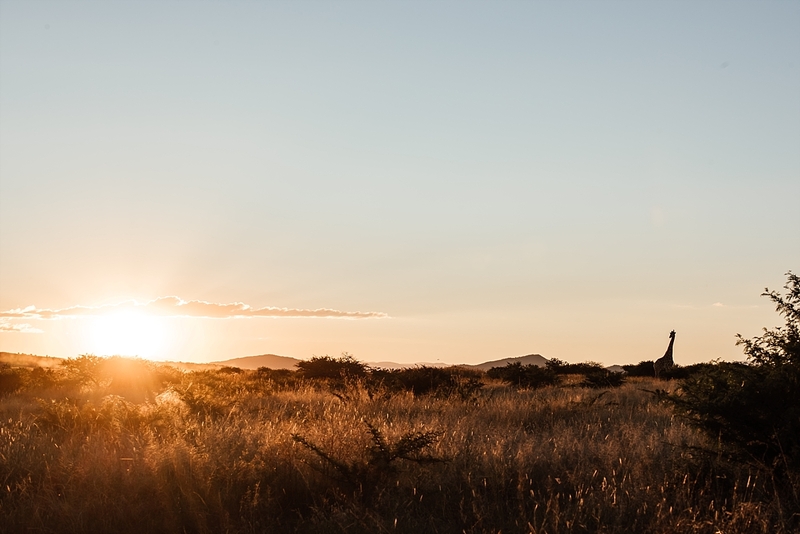 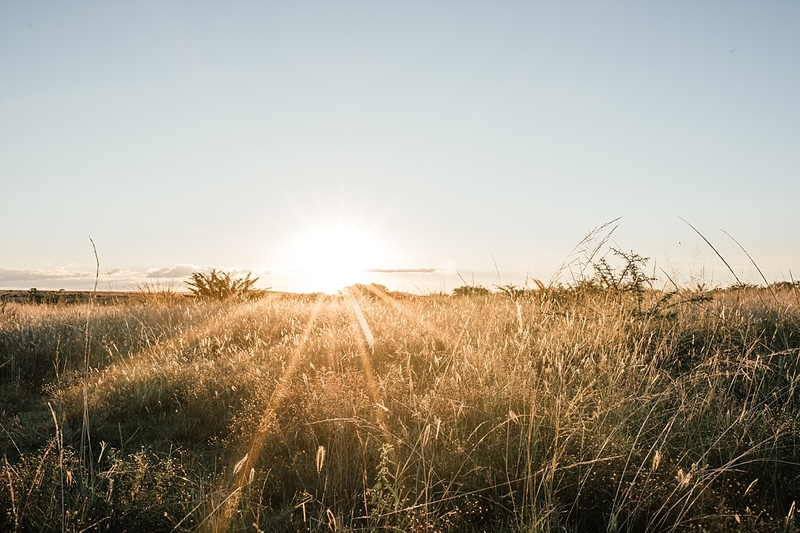 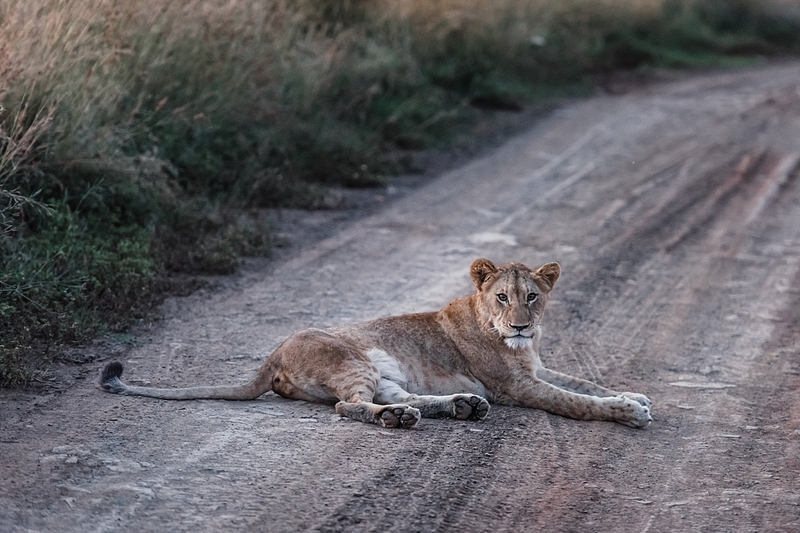 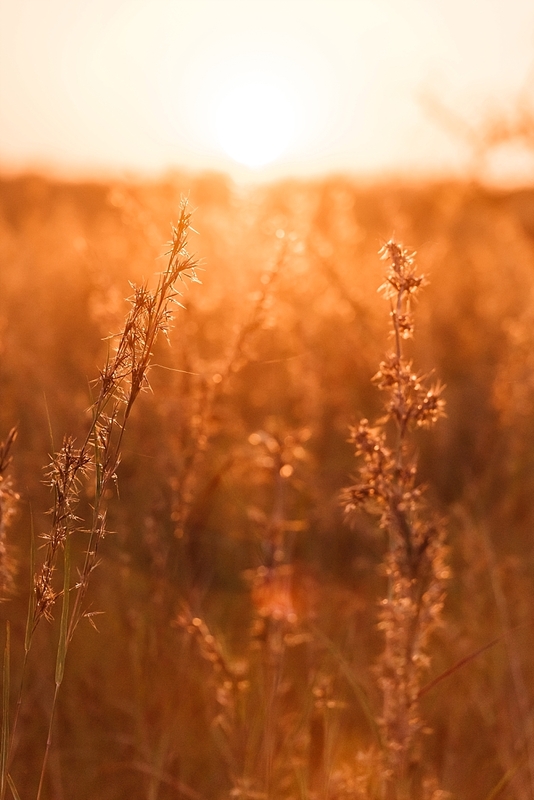 Whilst we were out in the bush for our creative shoot we could hear lions roar just around the corner, and we got treated to the most beautiful African sunset. 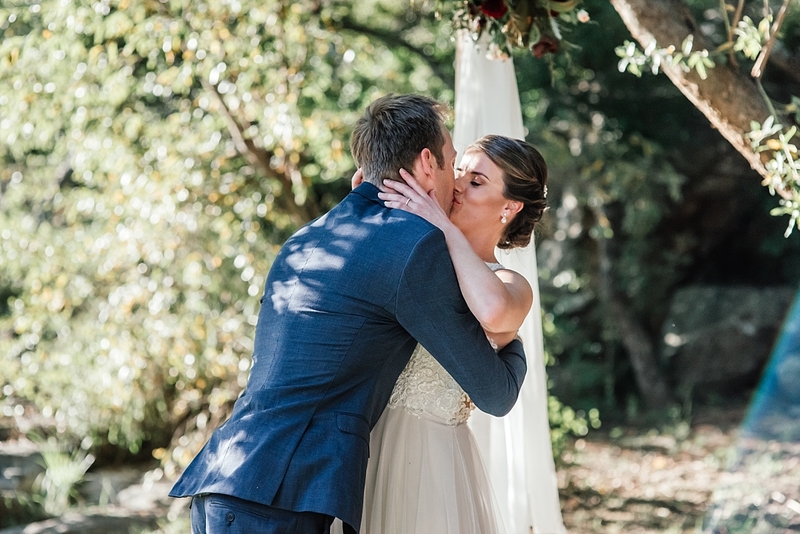 It doesn’t get much better then that! 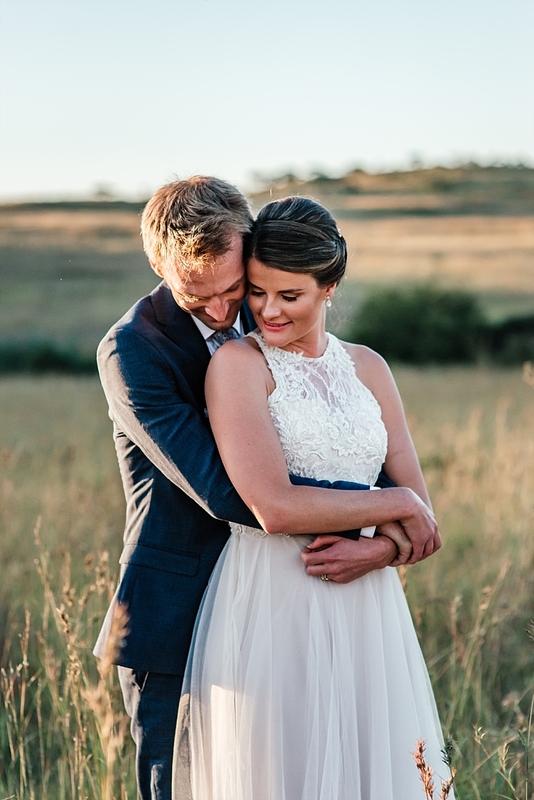 Kerriden and Trevor, your wedding is one I will remember for a long long time! 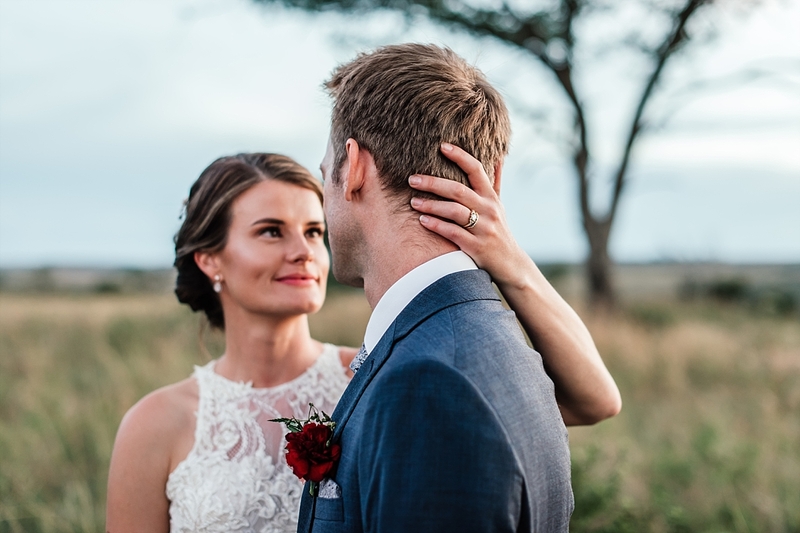 Thank you so much for trusting me to capture your special day for you and I wish you lots of love and happiness together. 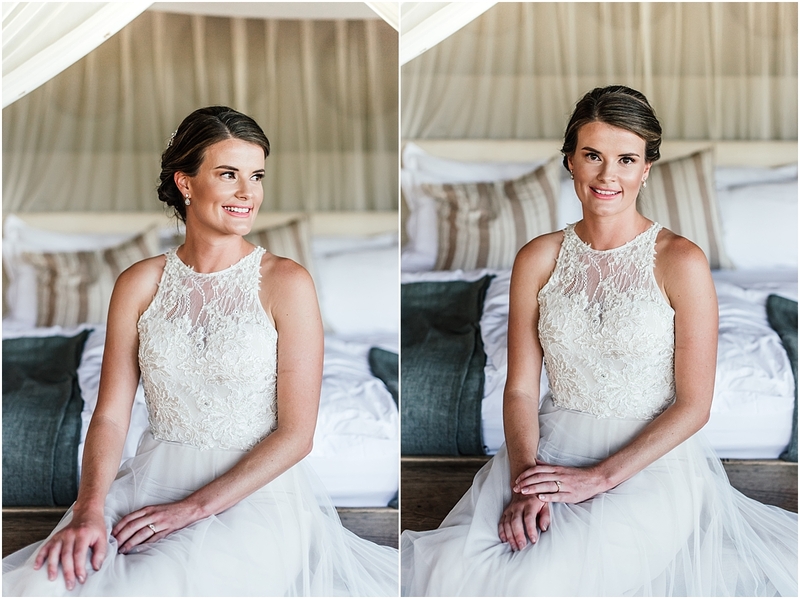 Sooo beautiful Wilma!! 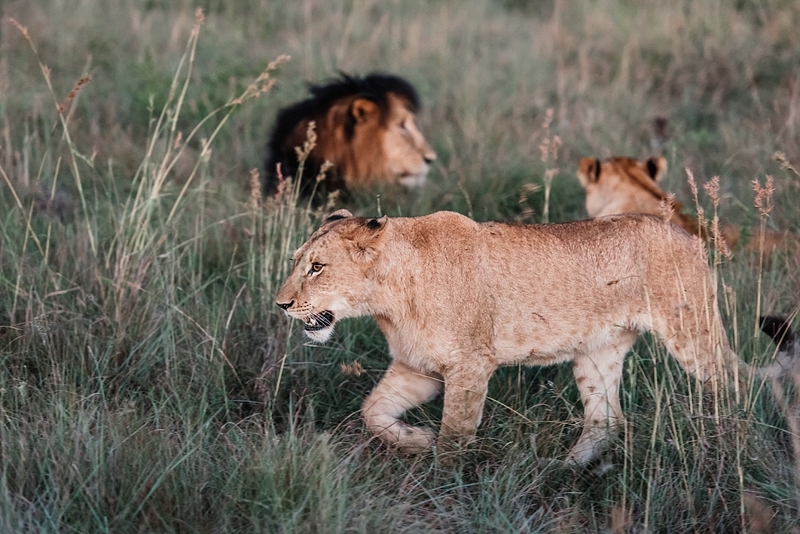 Lions…😱But amazing!! 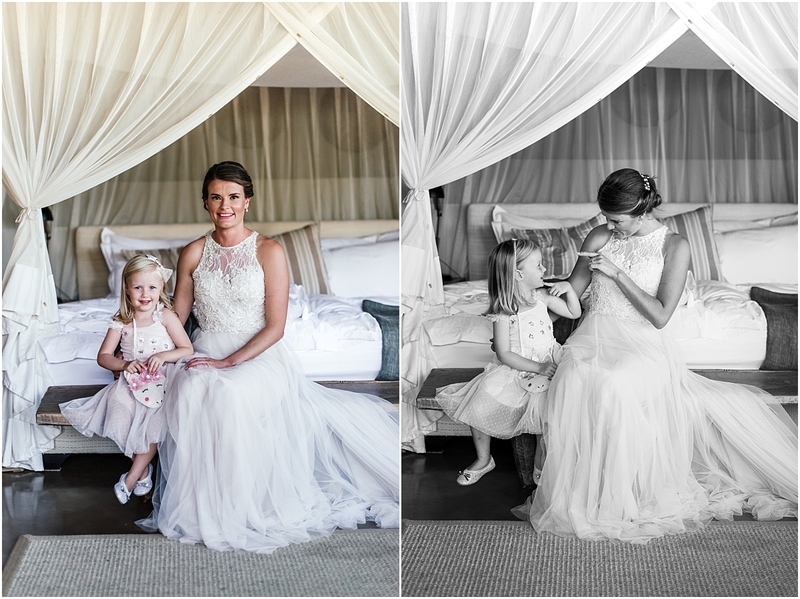 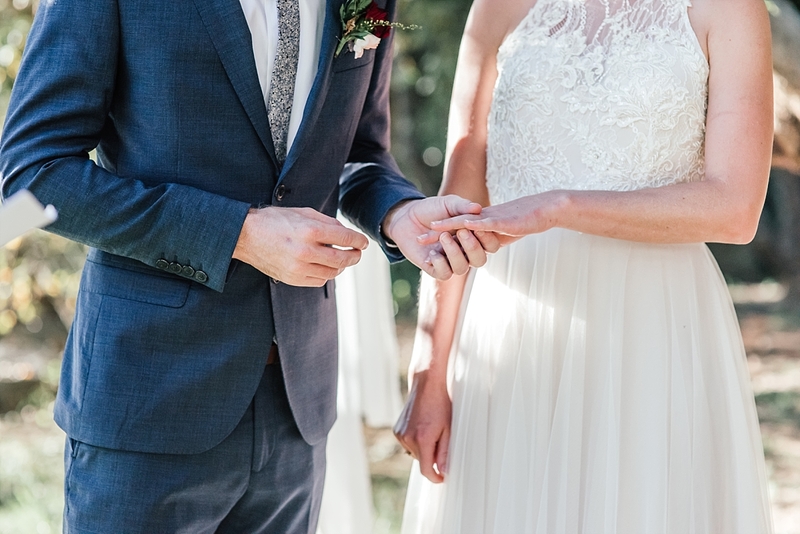 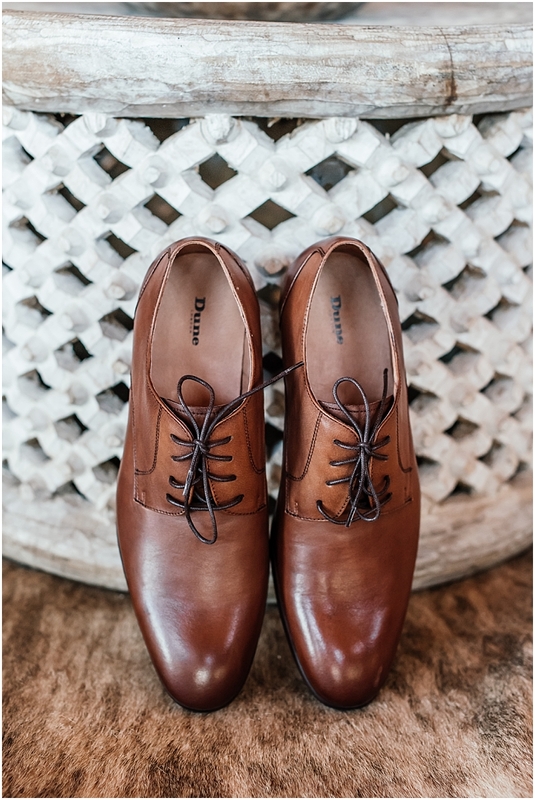 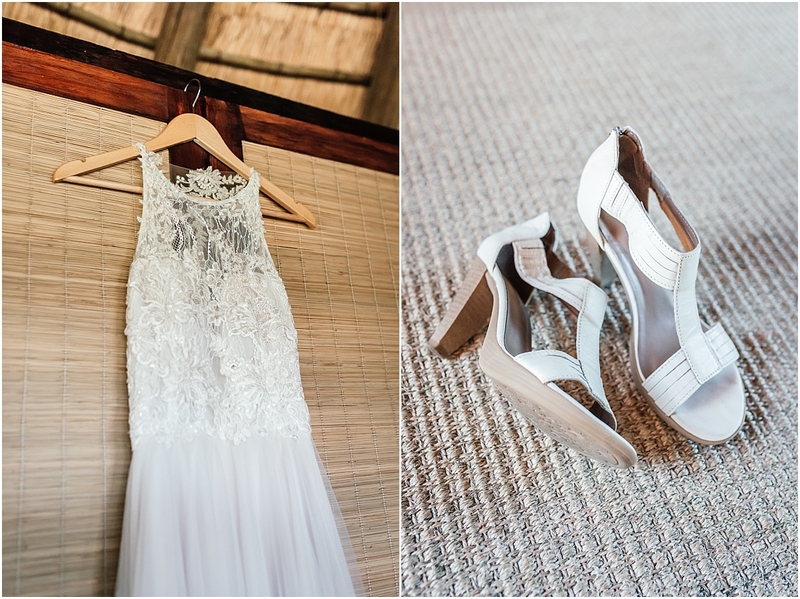 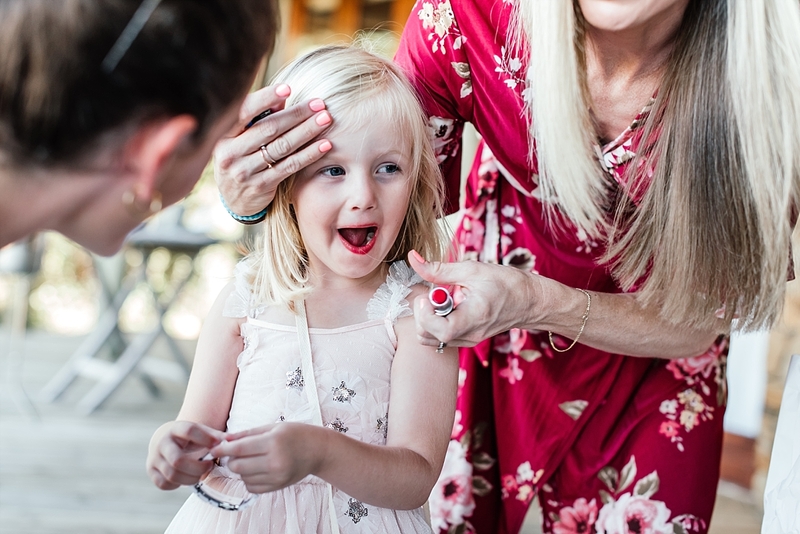 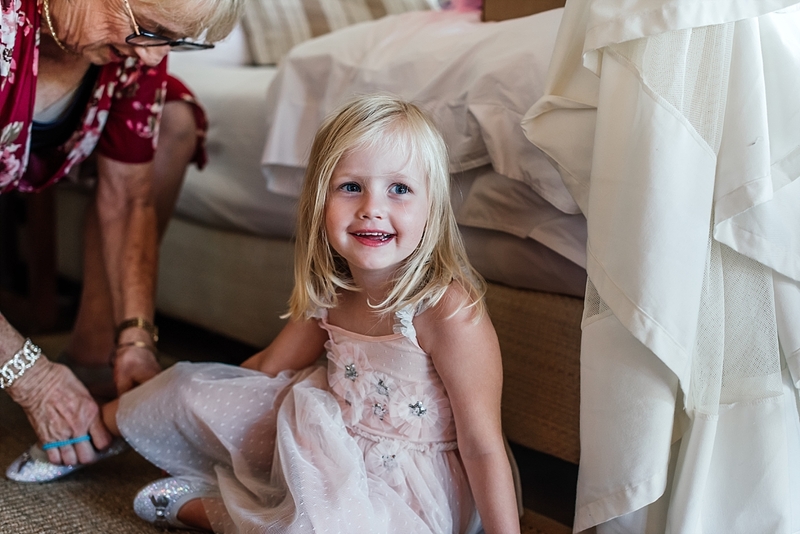 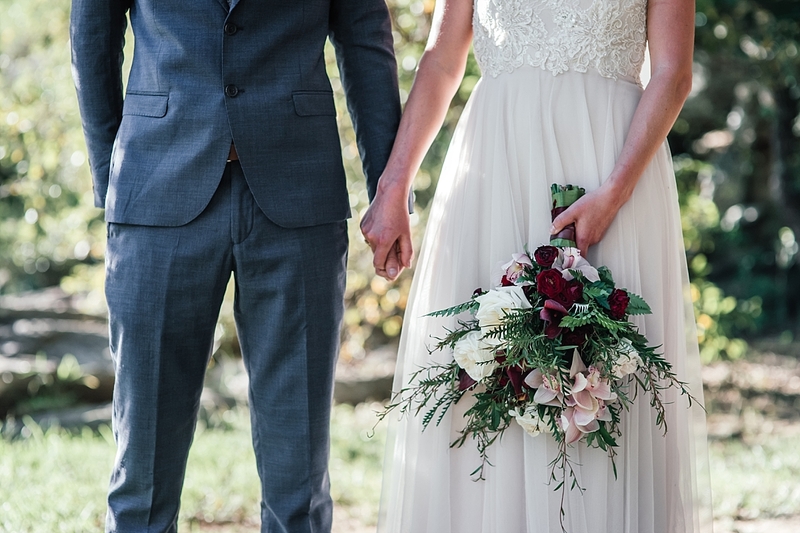 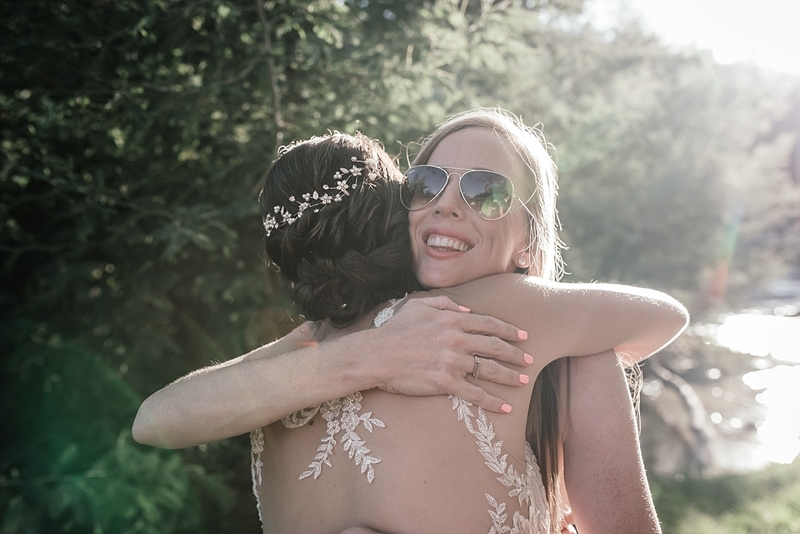 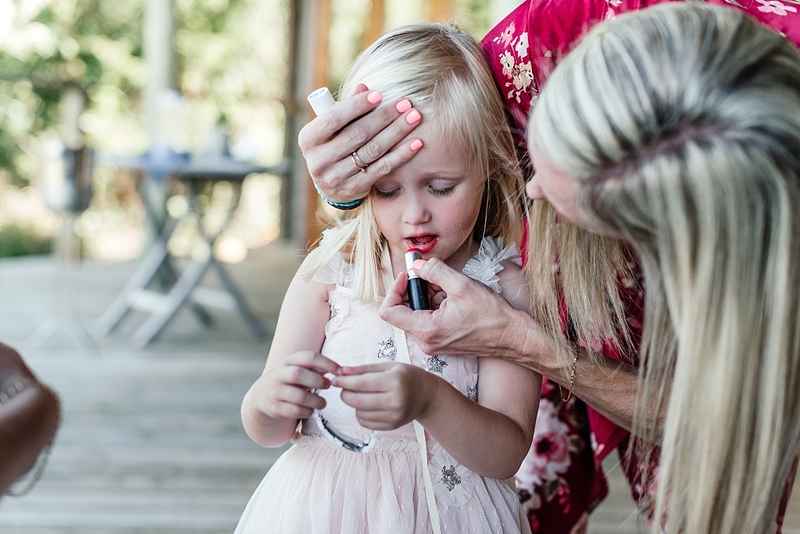 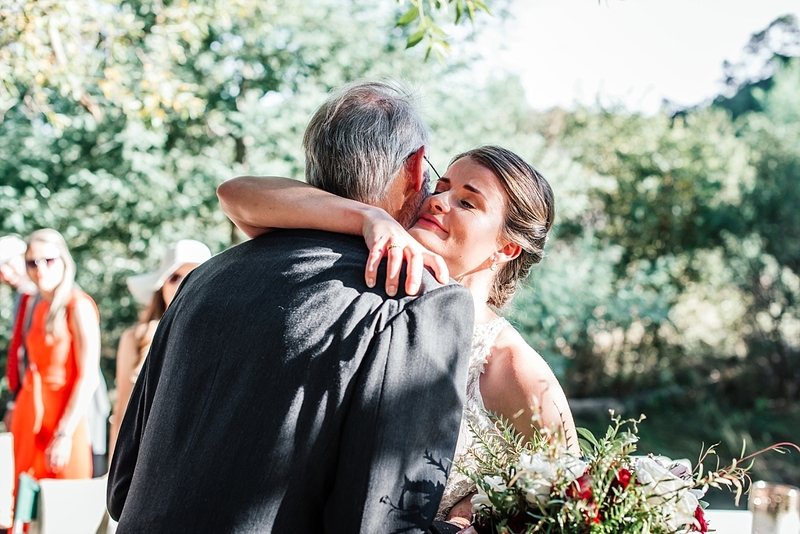 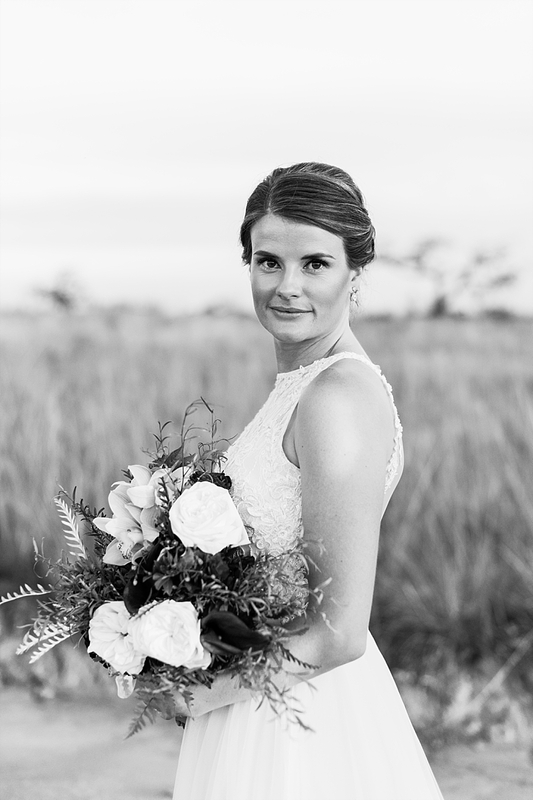 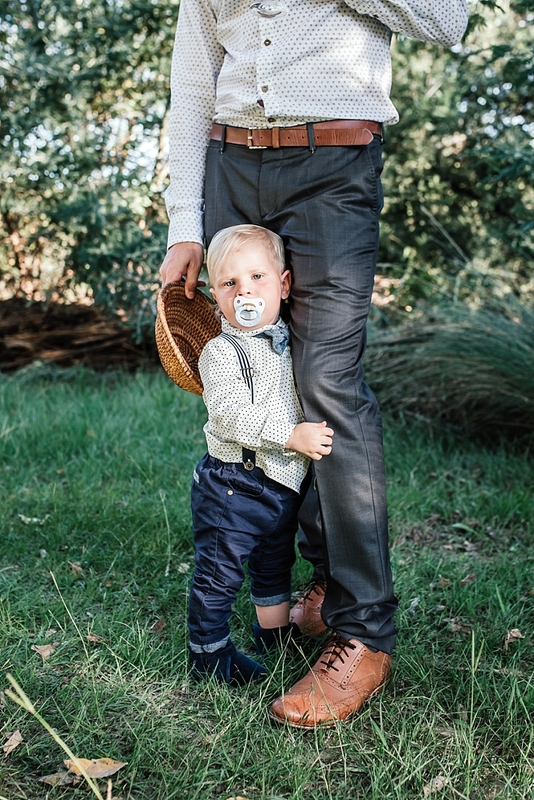 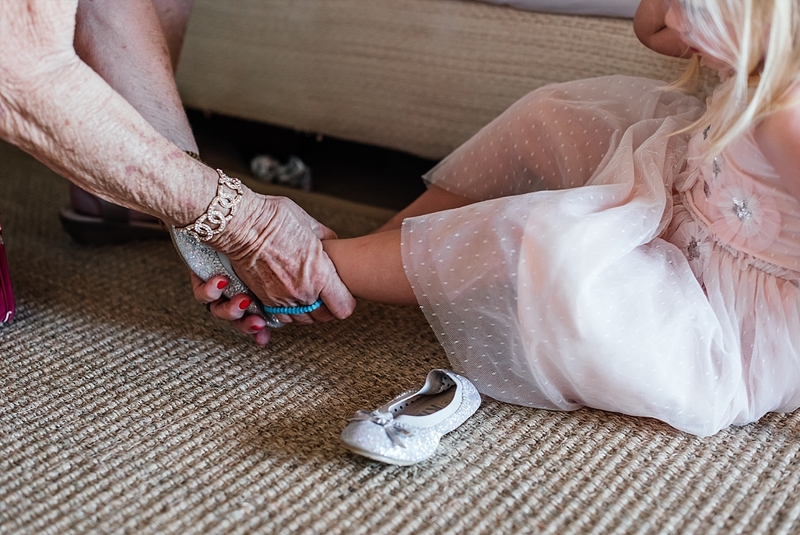 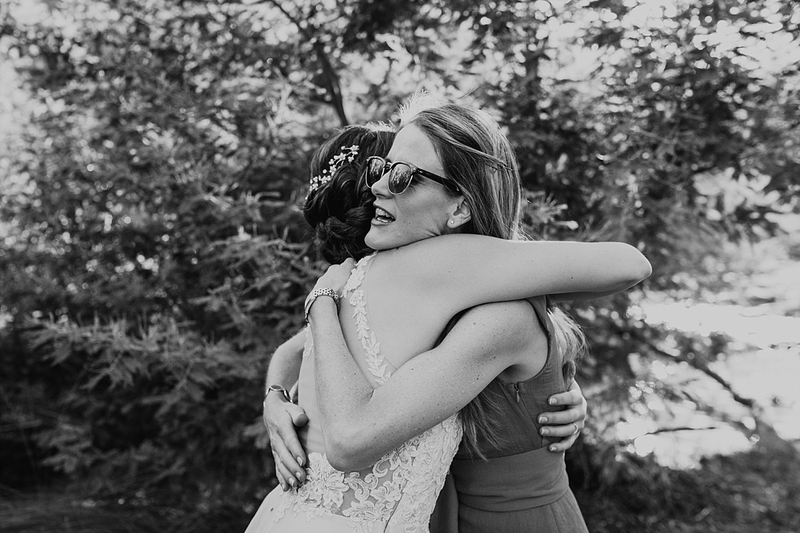 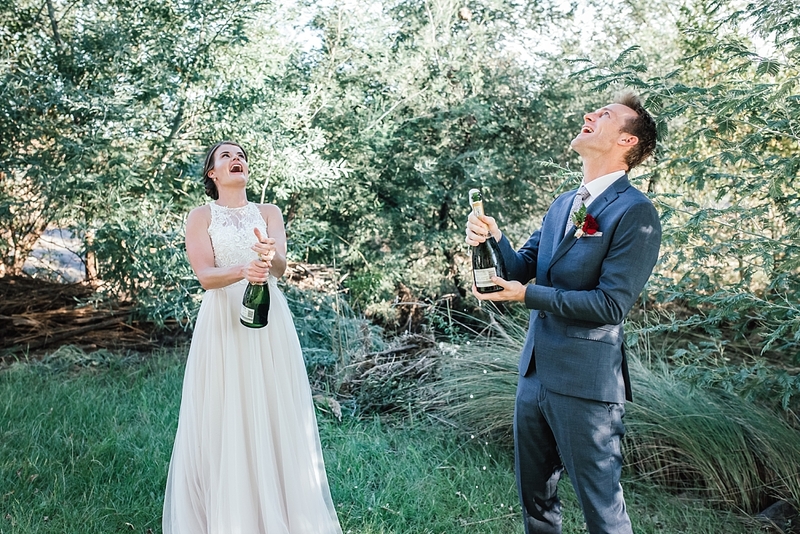 Such beautiful photos capturing your very special day. 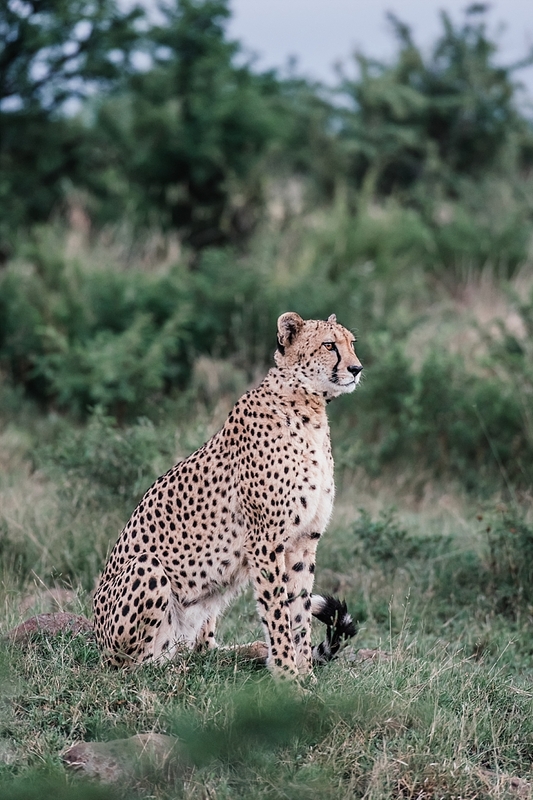 Feel privileged being able to see them. 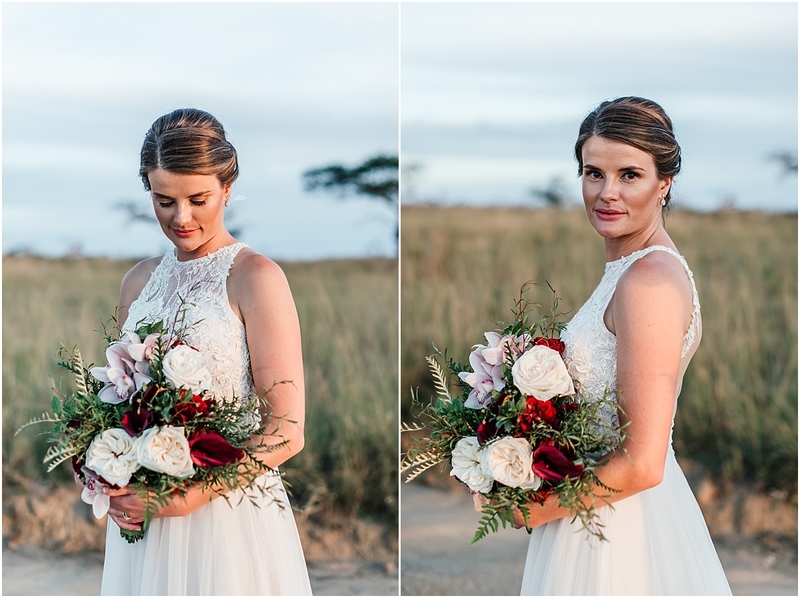 The flowers, make-up, brides hairdo, cake, setting, photographs, all of it just stunning. 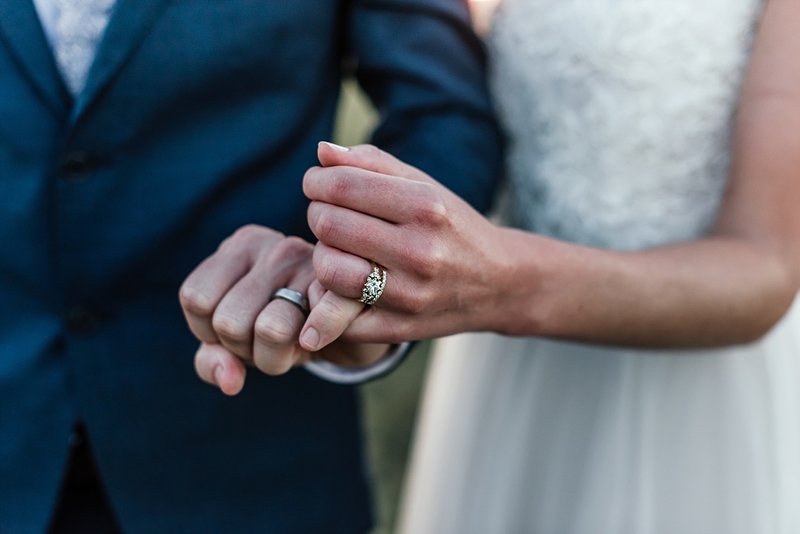 Wishing you a lifetime of togetherness.